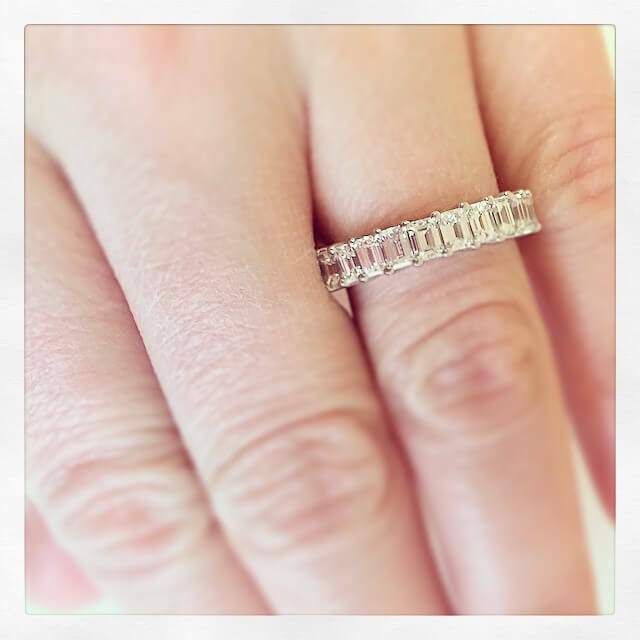 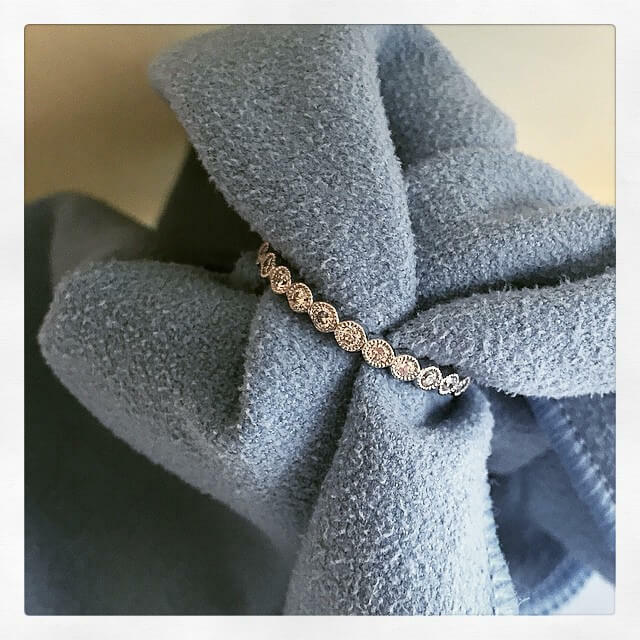 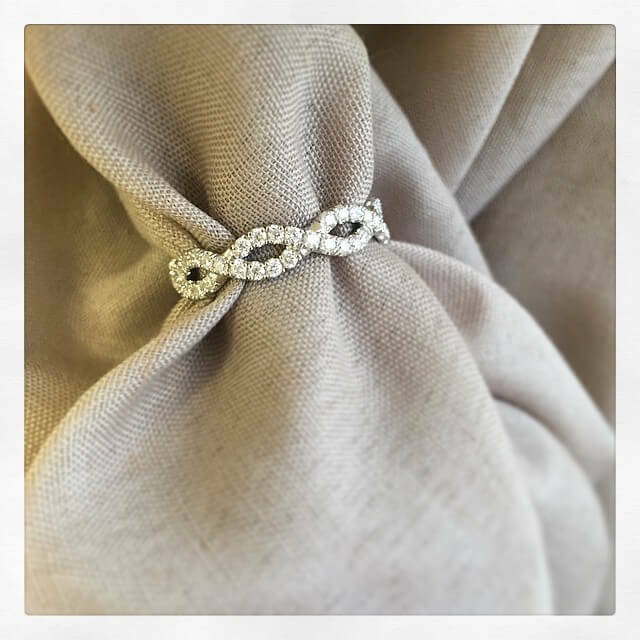 Eternity rings are our specialty, and we literally offer hundreds of variations of these bands in a variety of settings, metal types, diamond qualities, diamond shapes, gemstone types, and carat weights. 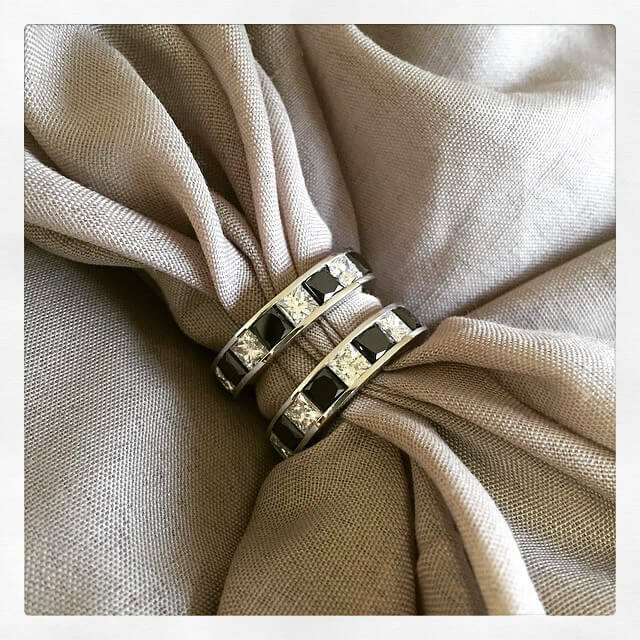 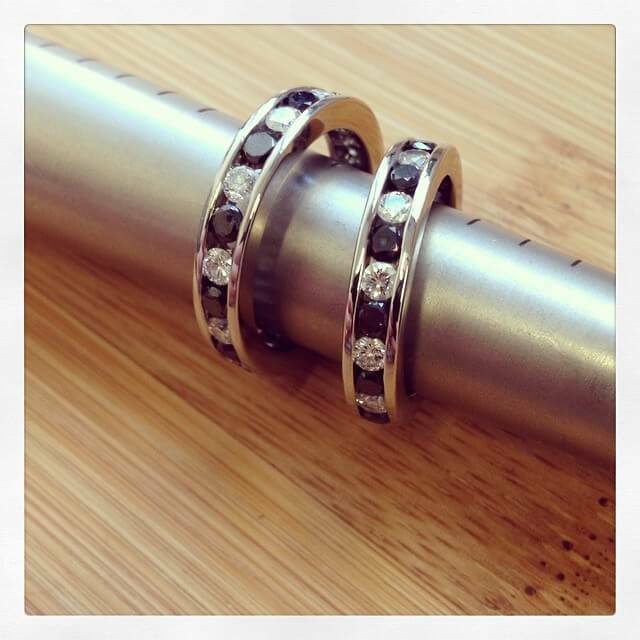 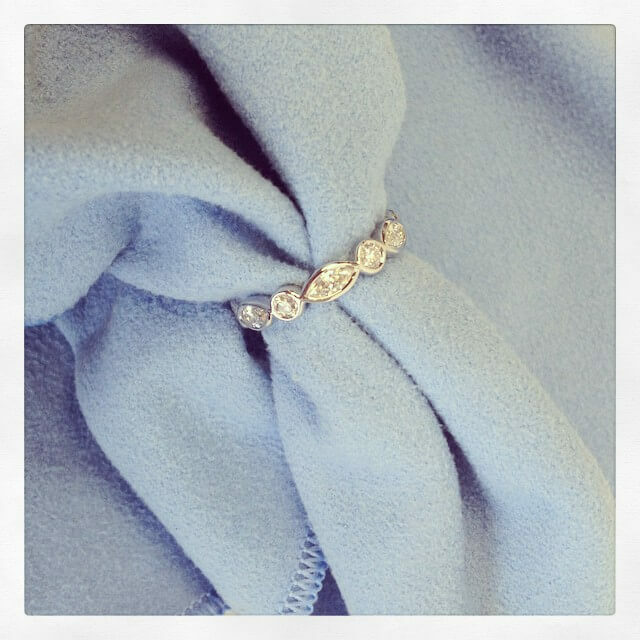 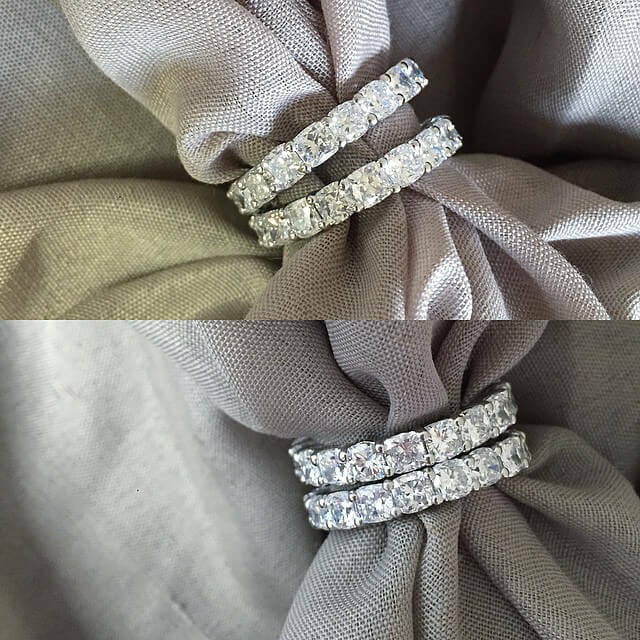 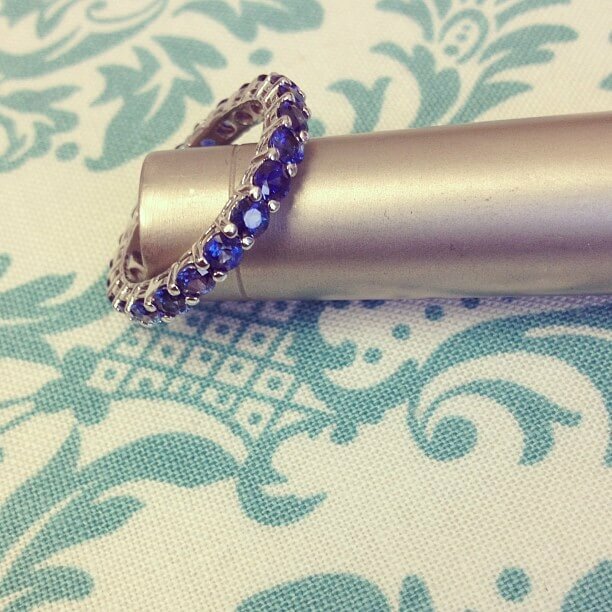 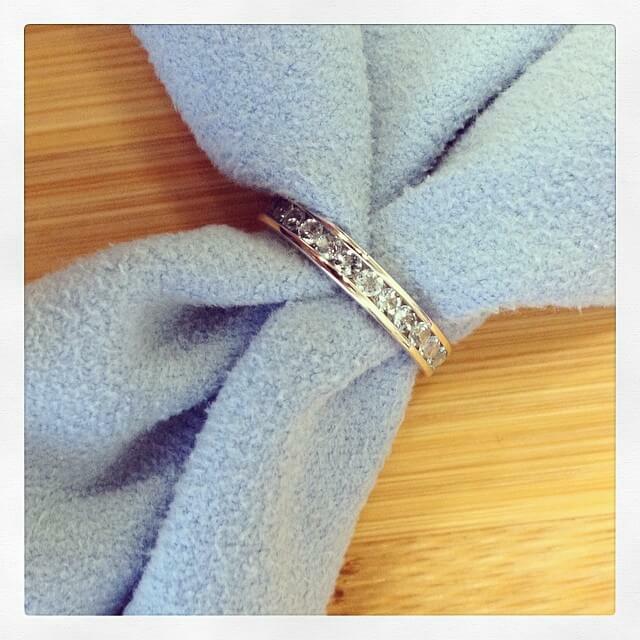 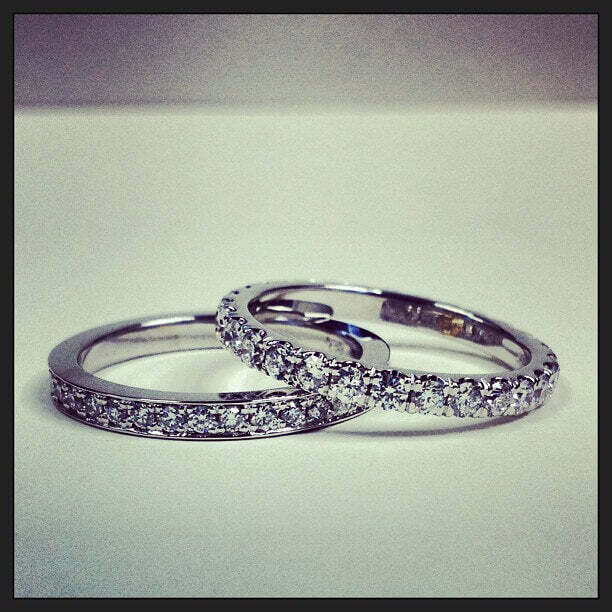 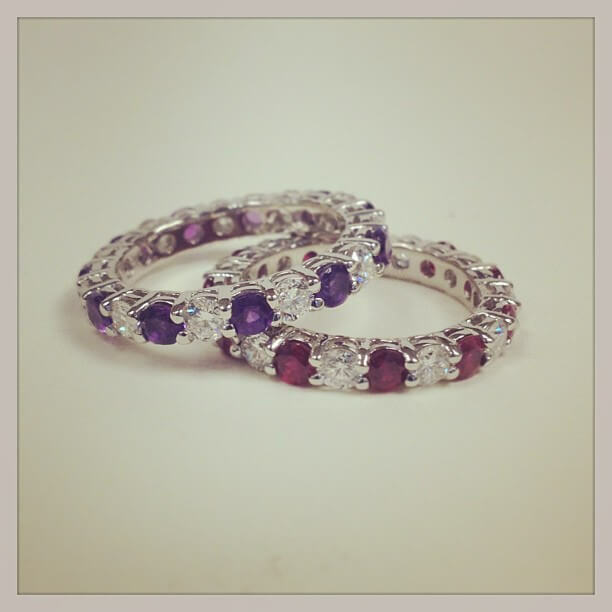 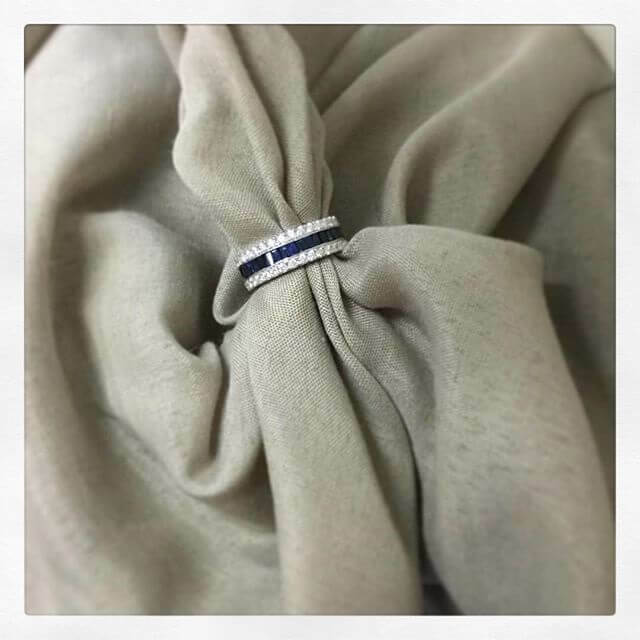 These rings make great stackable diamond bands and can be worn as a wedding band, anniversary band, or celebration ring. 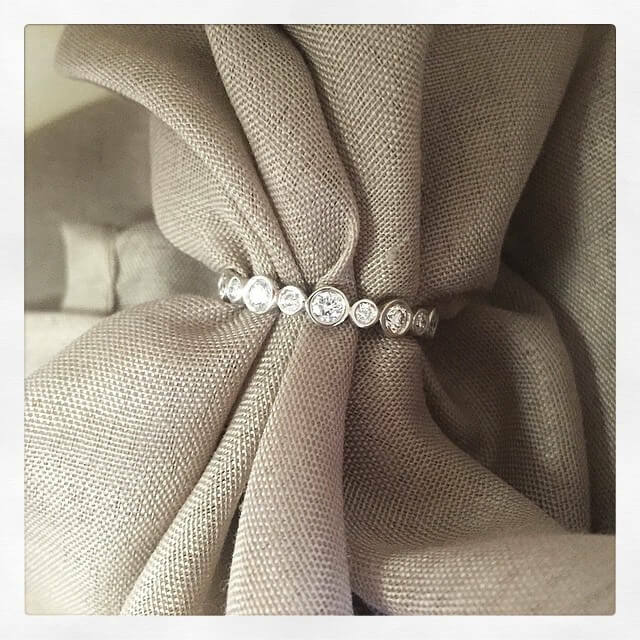 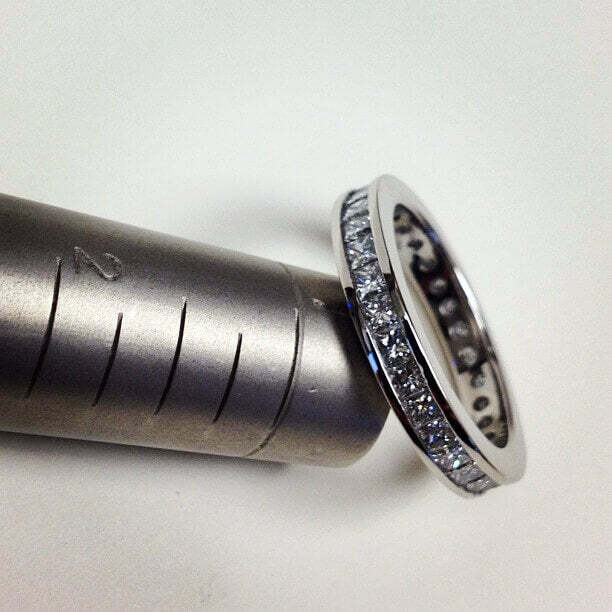 Platinum, with moissanite and round brilliant diamonds. 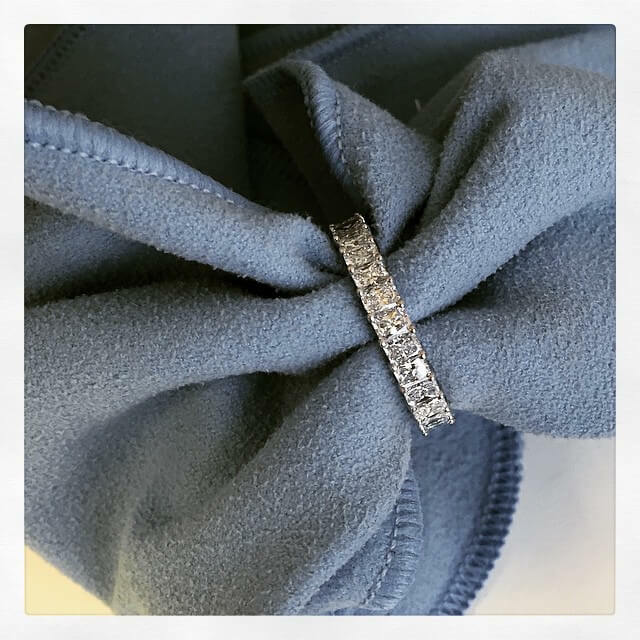 Platinum Diamond and Moissanite Eternity Wedding Band with 13 Forever One moissanites circled with 117 round brilliant cut u pave set diamonds. 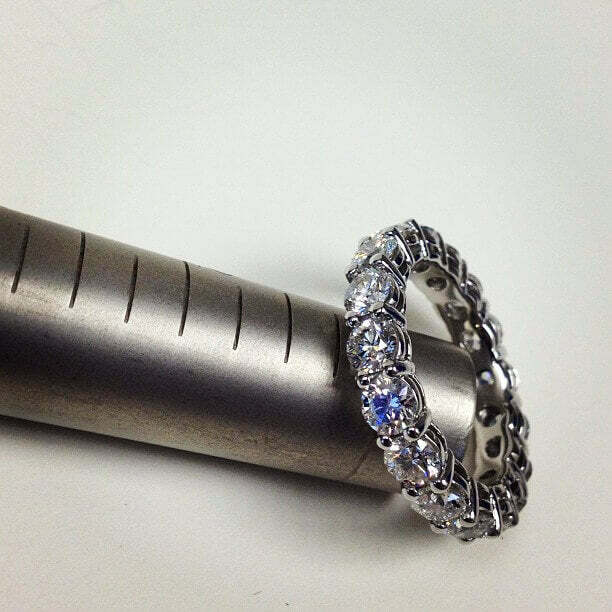 18k White Gold, with 1.00 cttw marquise and round diamonds. 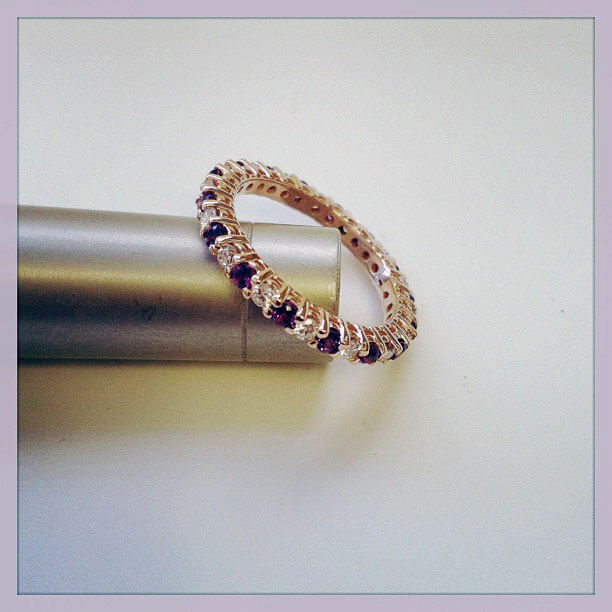 18k Rose Gold, 5.00 cttw. 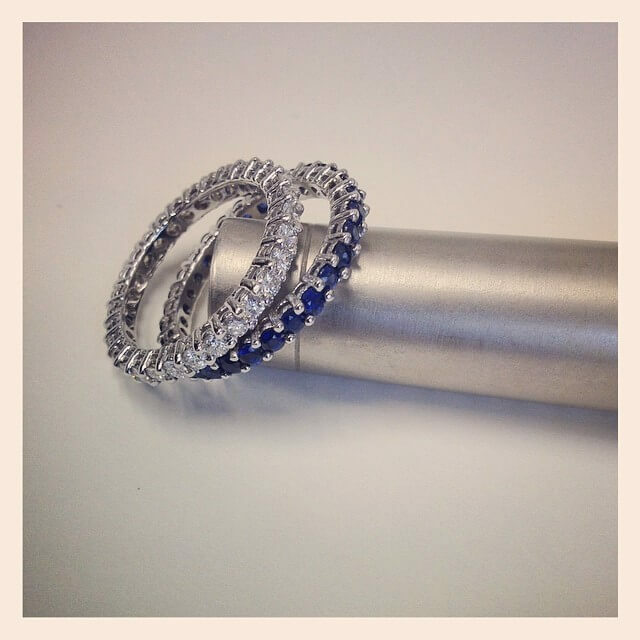 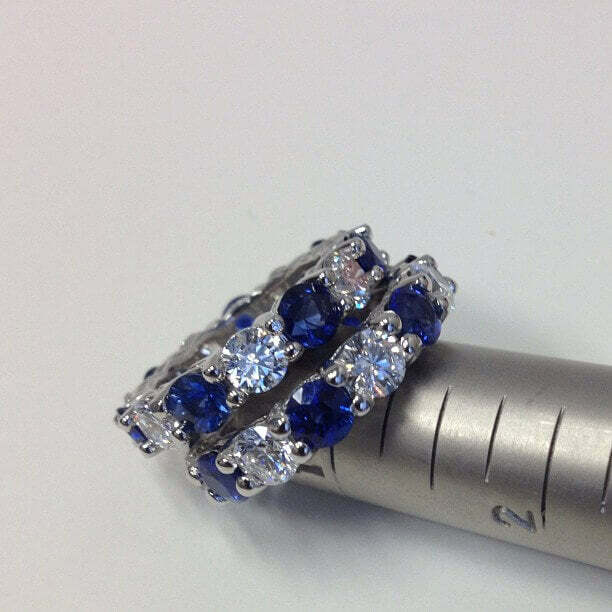 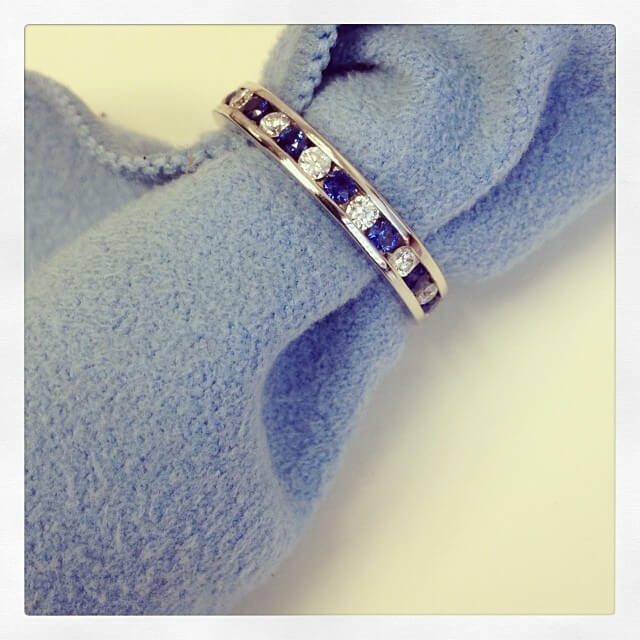 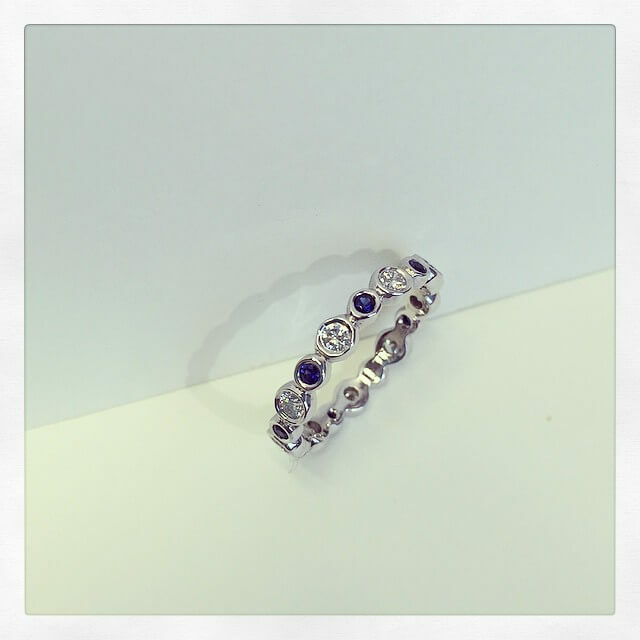 Platinum, 3.30 cttw of diamonds and sapphires. 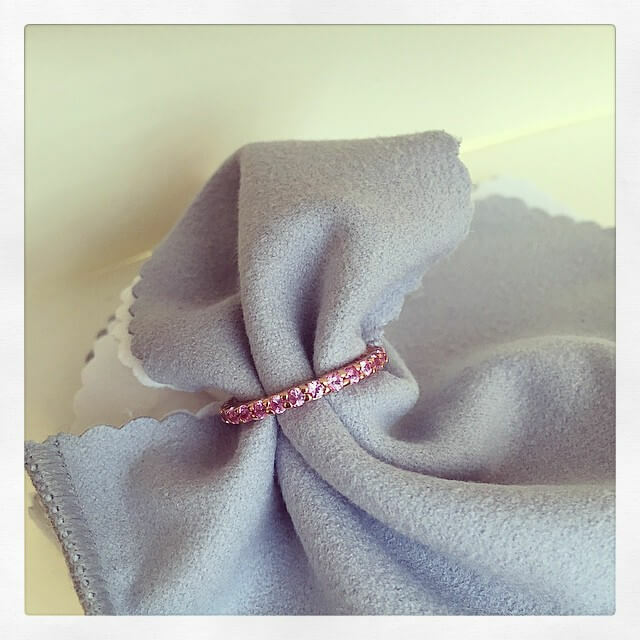 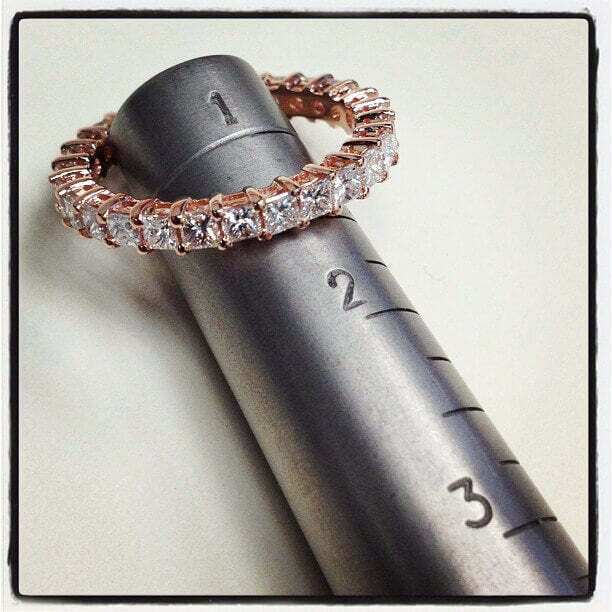 14k Rose Gold, 5.00 cttw. 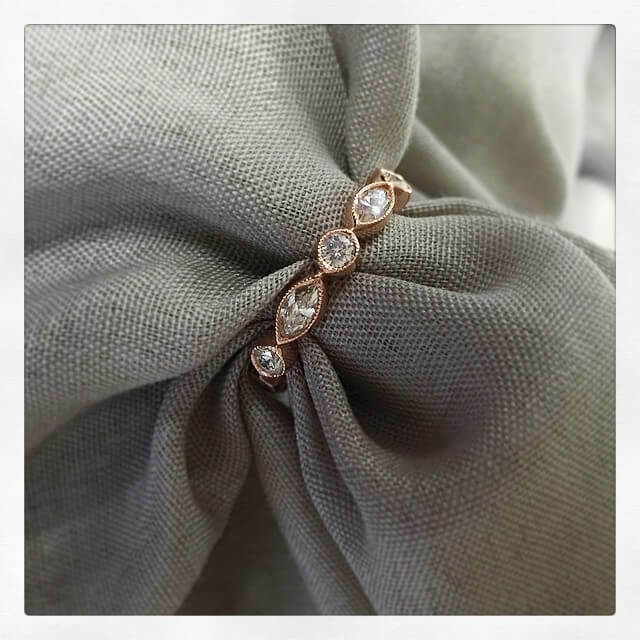 18k Rose Gold, 0.80 cttw. 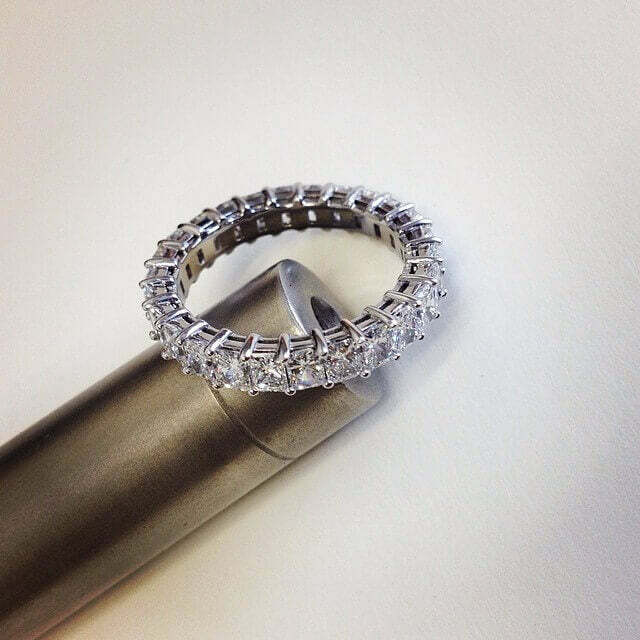 Custom Pave Diamond Laurel Eternity Ring pave set with G/VS round and marquise cut diamonds. 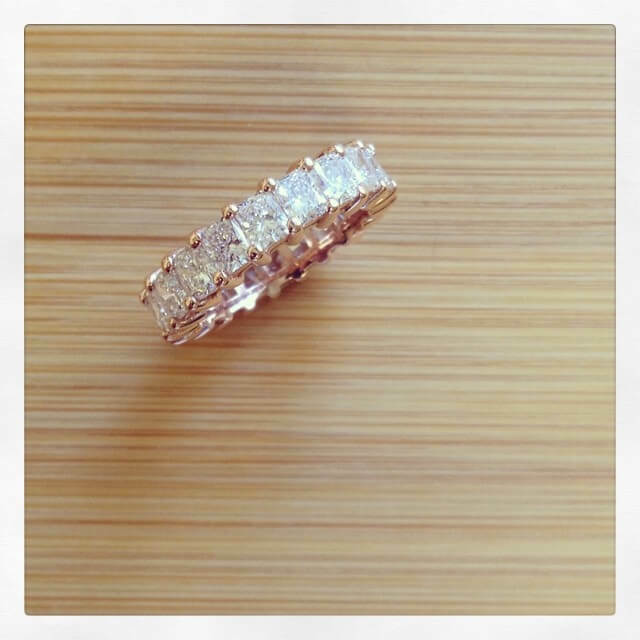 14kt Rose Gold, 0.55 cttw. 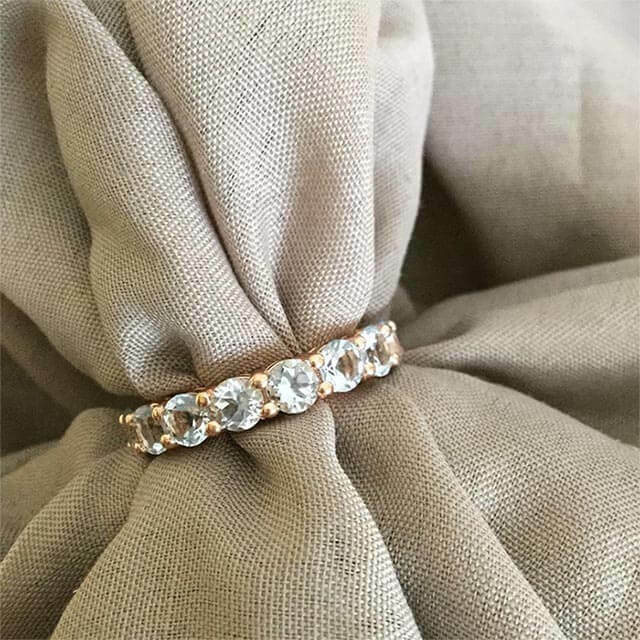 Custom Rose Gold Band with pave diamonds and ribbon design to match engagement ring style # HEK1010-M featuring G-H color SI clarity diamonds. 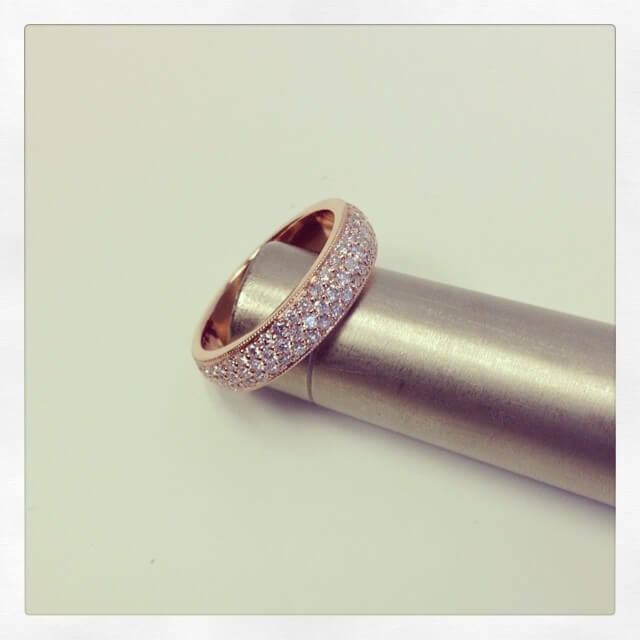 18k Rose Gold, 1.40 cttw. 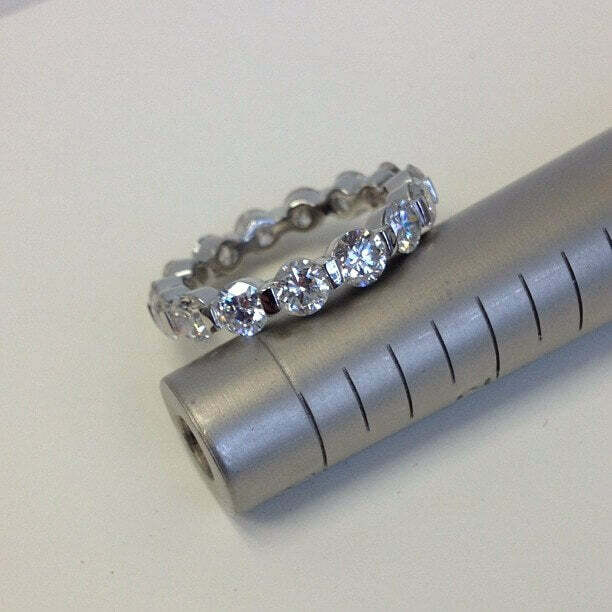 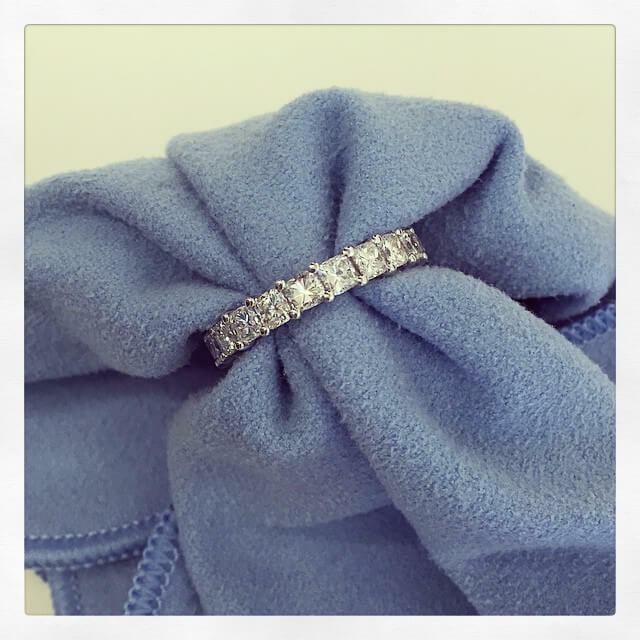 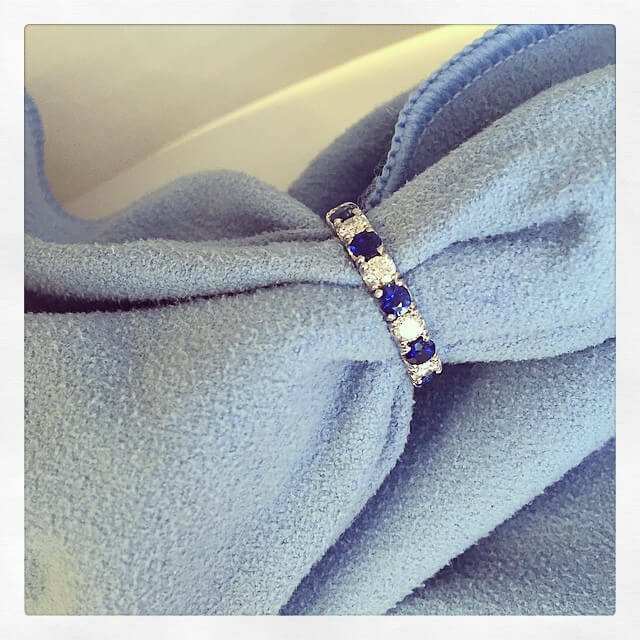 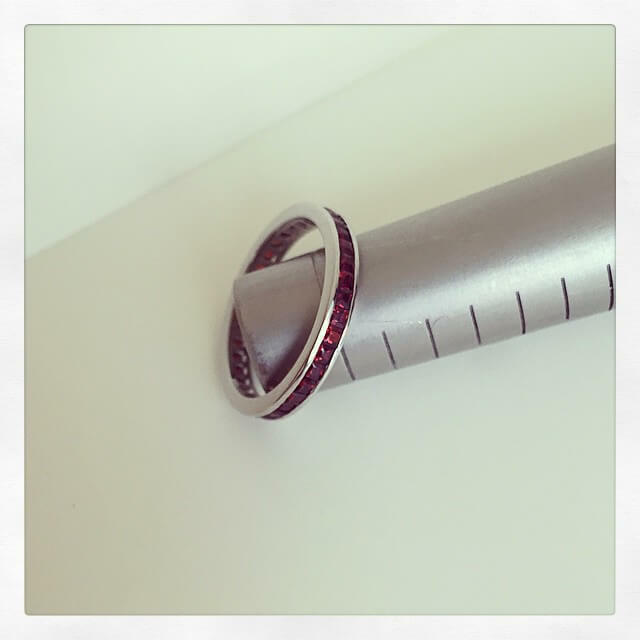 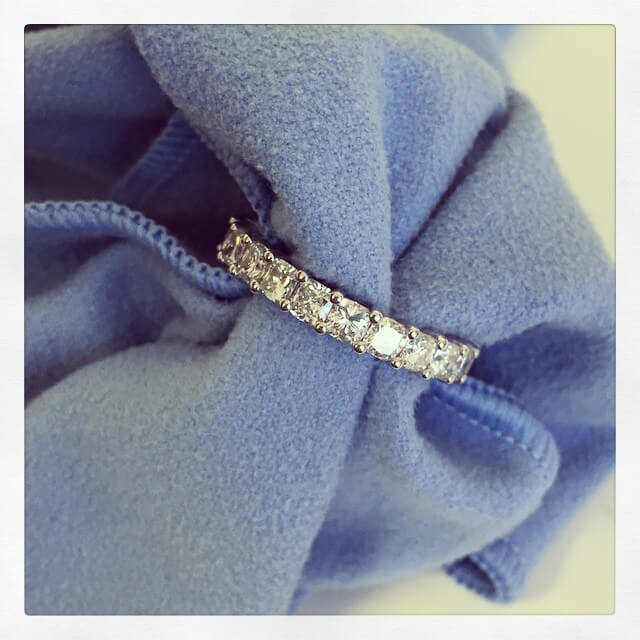 Custom Diamond Wedding Band featuring F-G color, VS clarity round brilliant cut diamonds and a rope border. 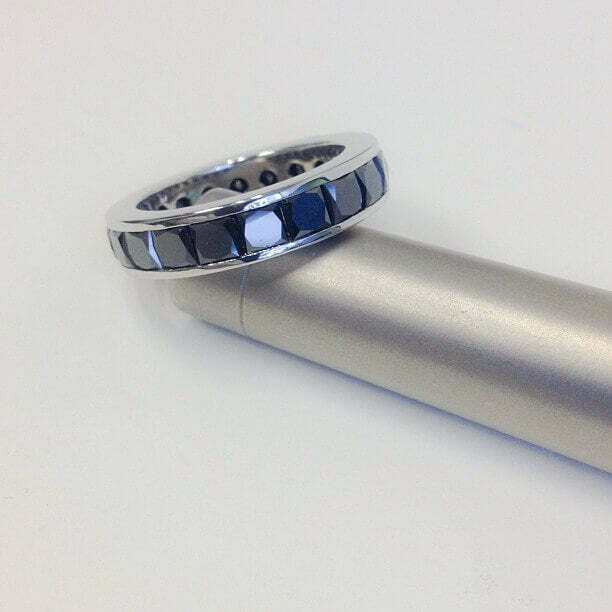 Custom version of BLD602. 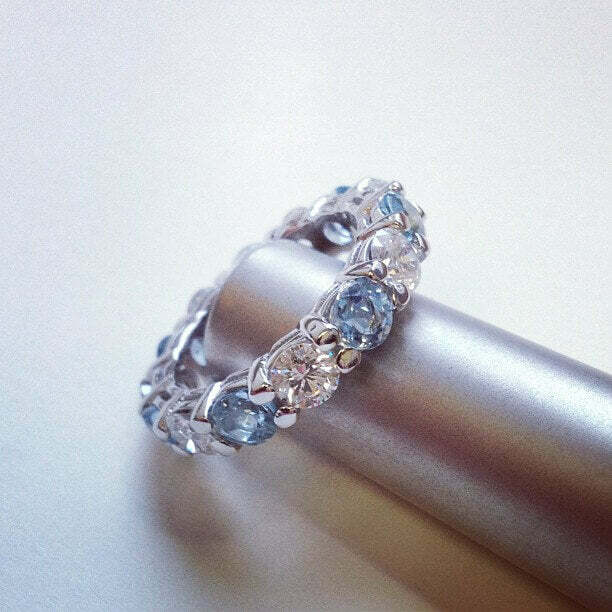 14k White Gold, 0.70 cttw. 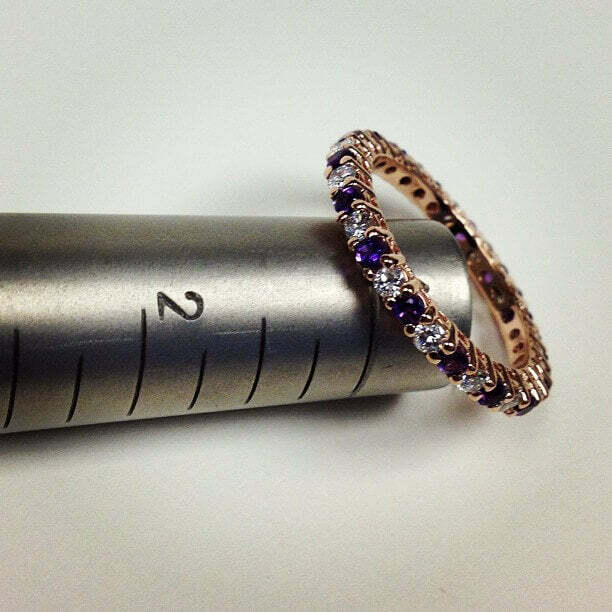 14k Rose Gold, 0.70 cttw. 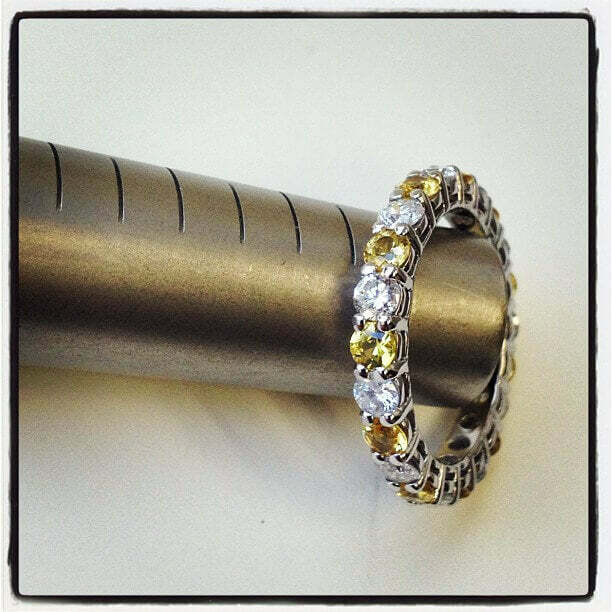 18k Yellow Gold, 4.08 cttw. 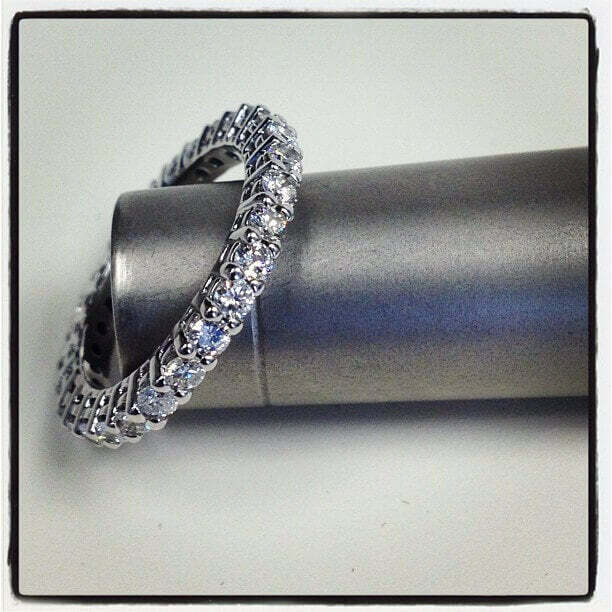 18k White Gold, 1.00 cttw. 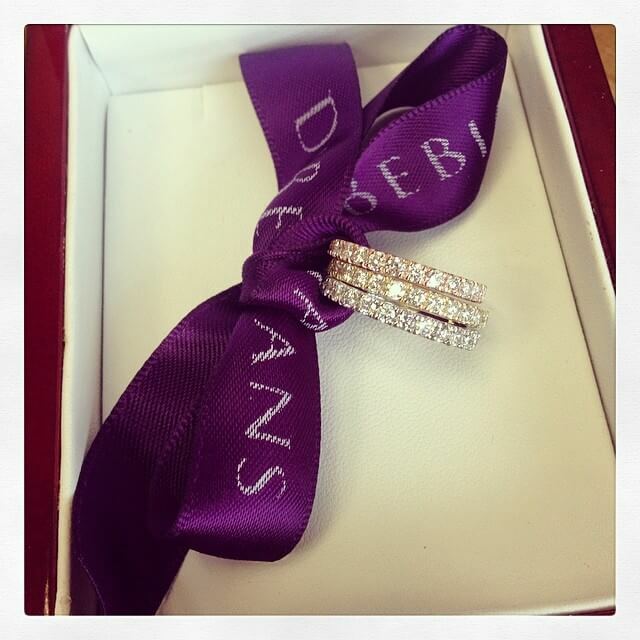 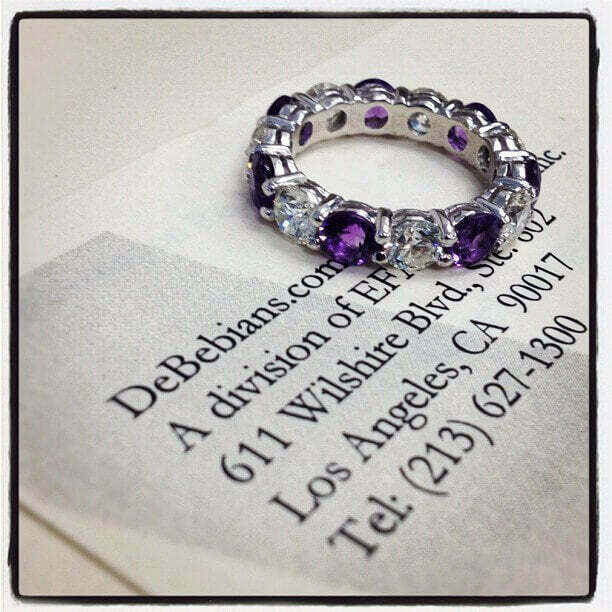 Custom infinity diamond eternity ring with E-F color, VVS2-VS1 clarity diamonds, based on original style DWB-16. 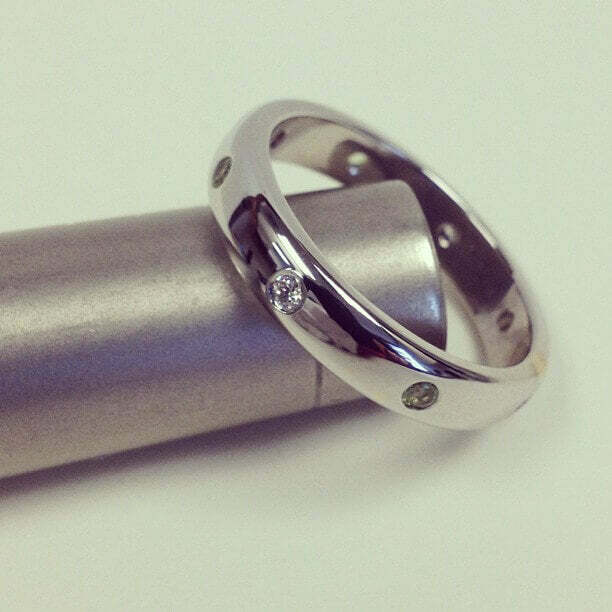 14kt White Gold, 0.70 cttw. 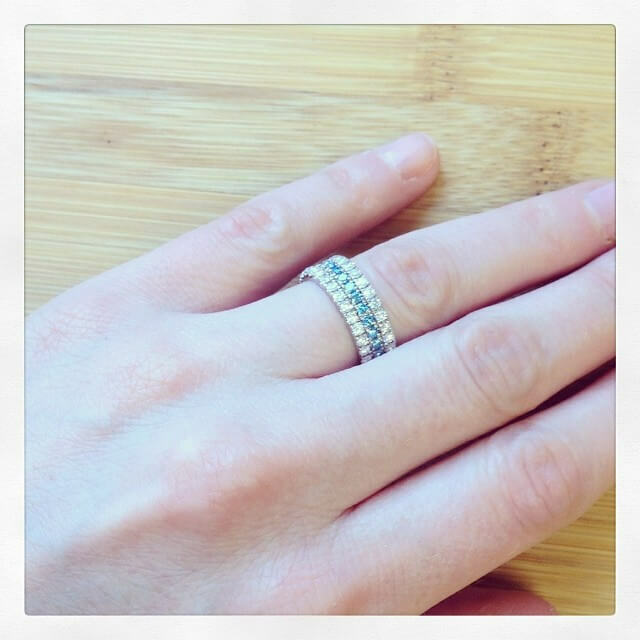 14kt White Gold, 3.00 cttw. 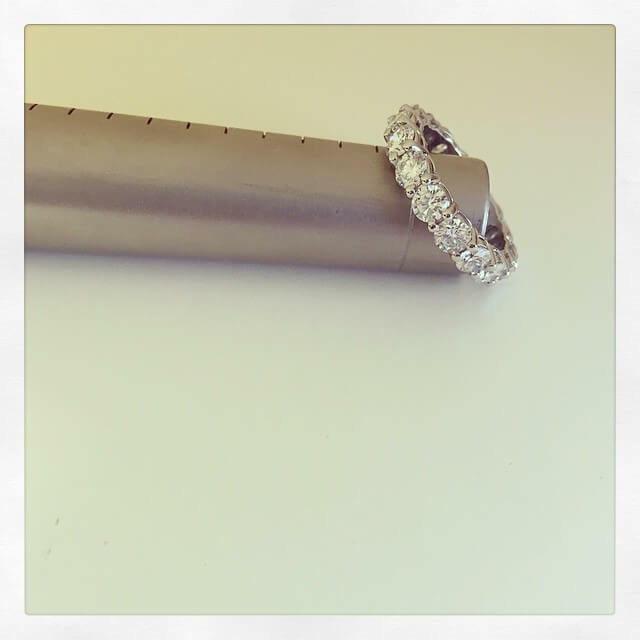 14kt White Gold, 0.48 cttw. 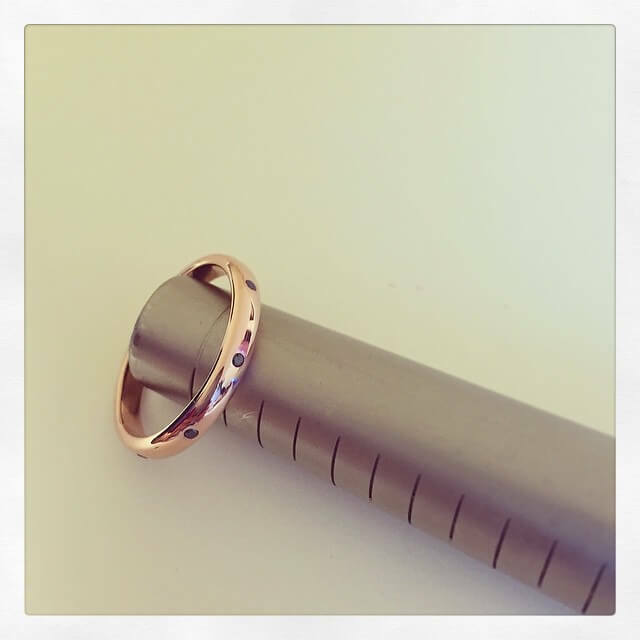 14kt Rose Gold, 1.00 cttw. 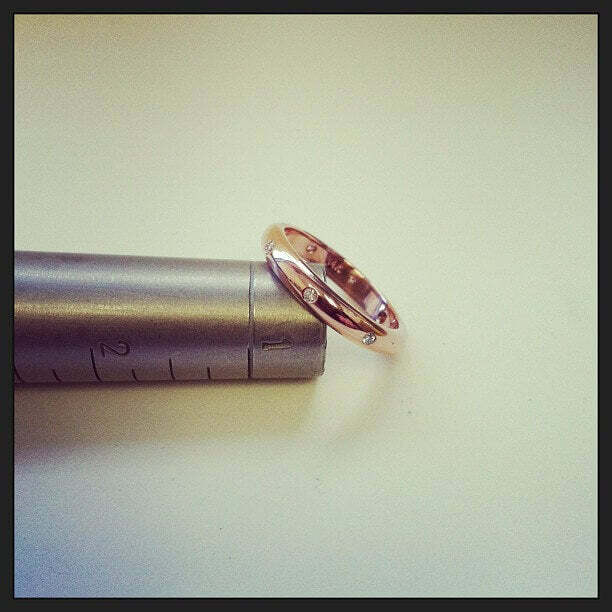 18kt Rose Gold, 0.85 cttw. 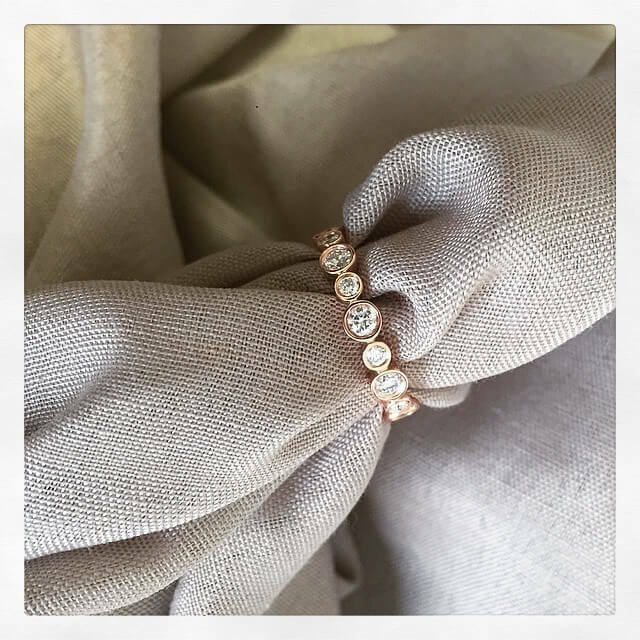 14kt Rose Gold, 0.12 cttw. 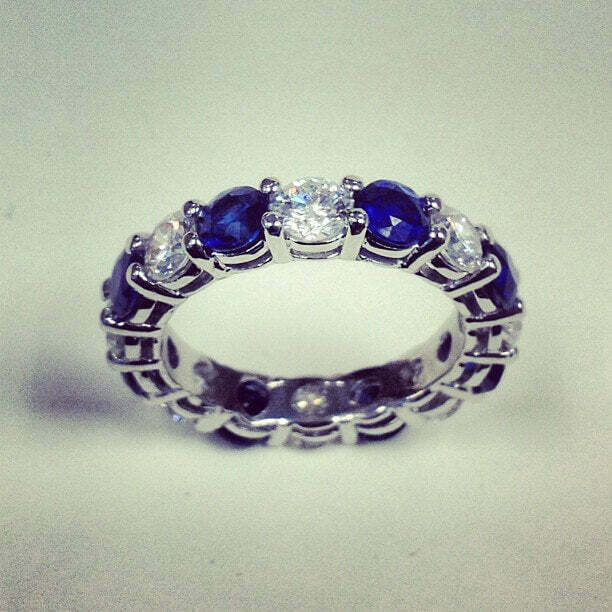 14k White Gold, 2.00 cttw. 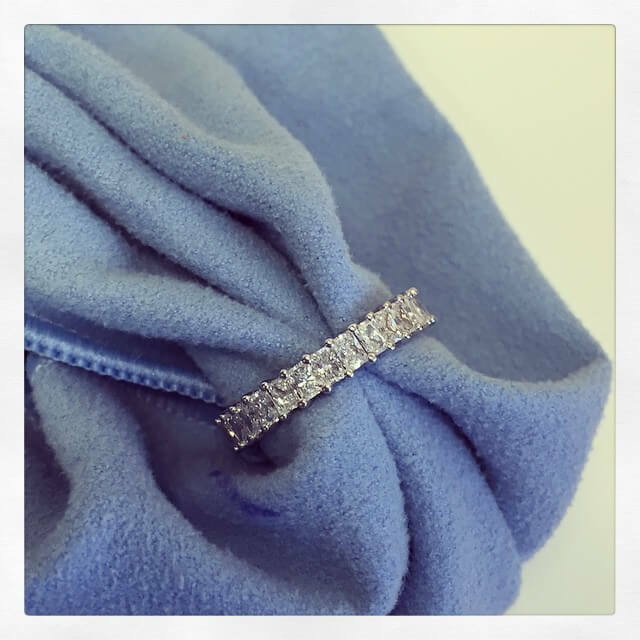 14kt White Gold, 0.75 cttw. 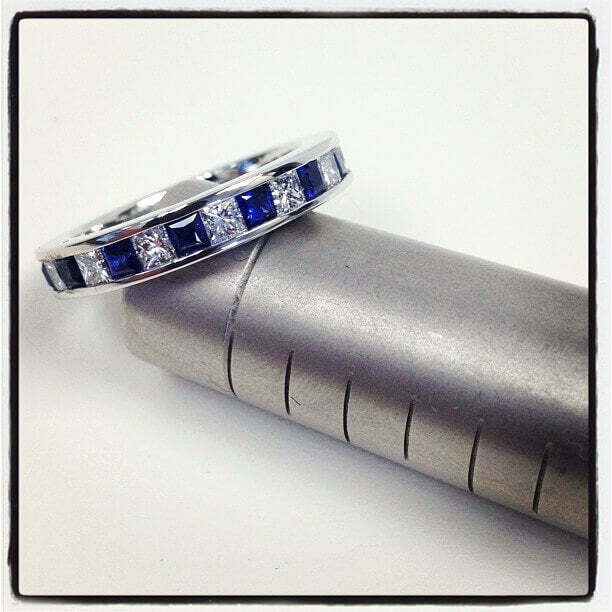 Featuring bezel-set sapphire and diamonds, similar to style # DSBE-01-BS. 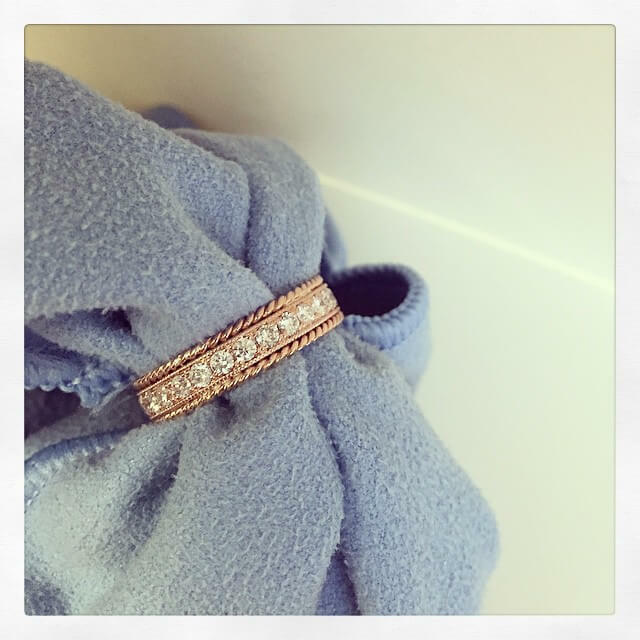 18kt Rose Gold, 0.63 cttw. 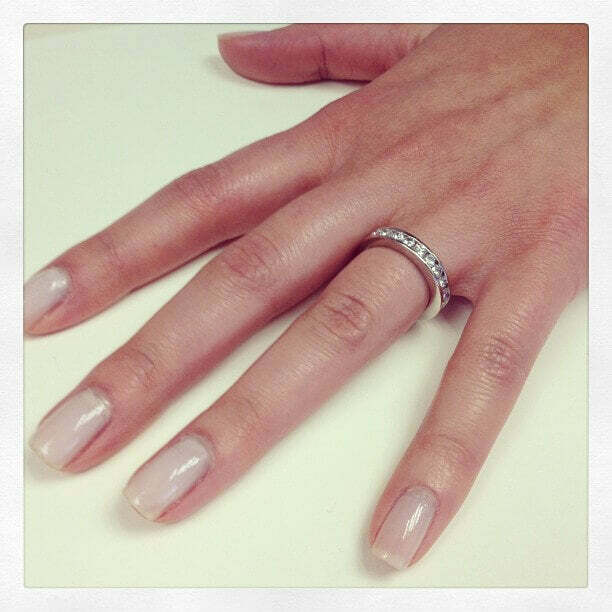 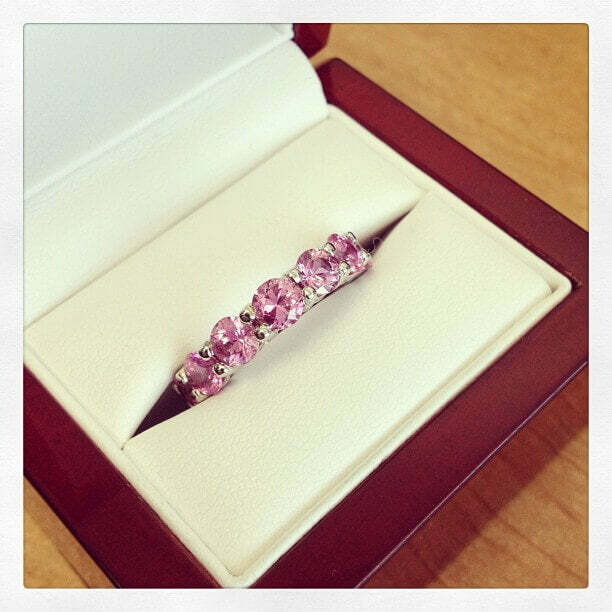 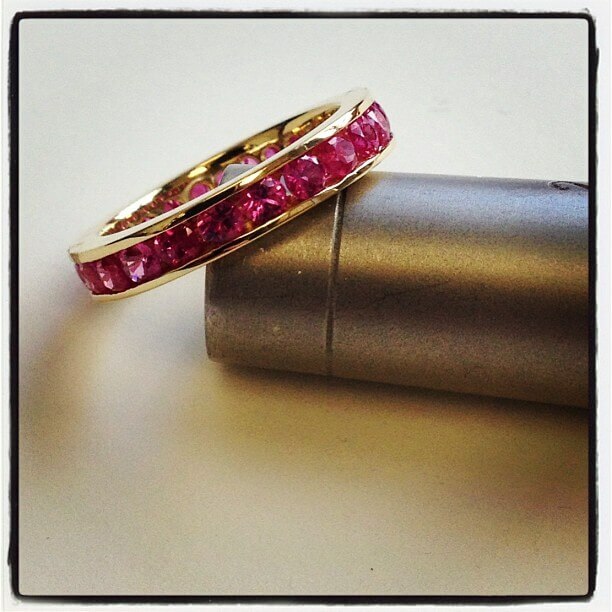 Featuring fancy pink round diamonds, milgrain and hand engraving; this ring is similar to style # PDR-02, 3mm wide. 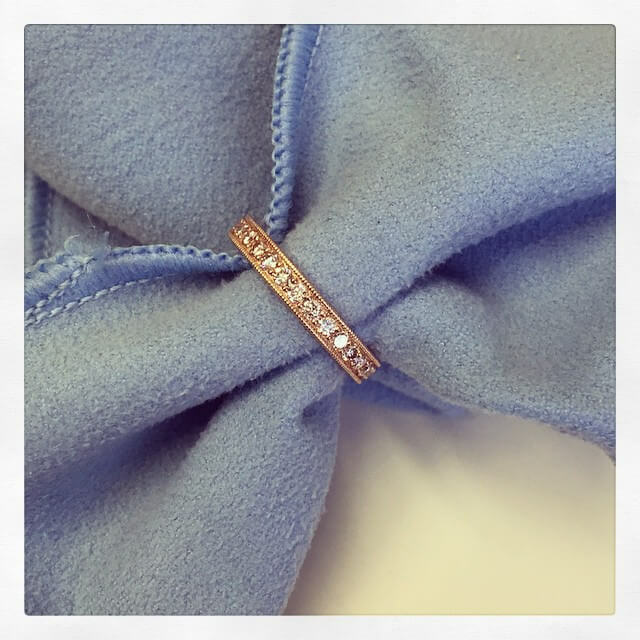 14kt Rose Gold, 4.00 cttw. 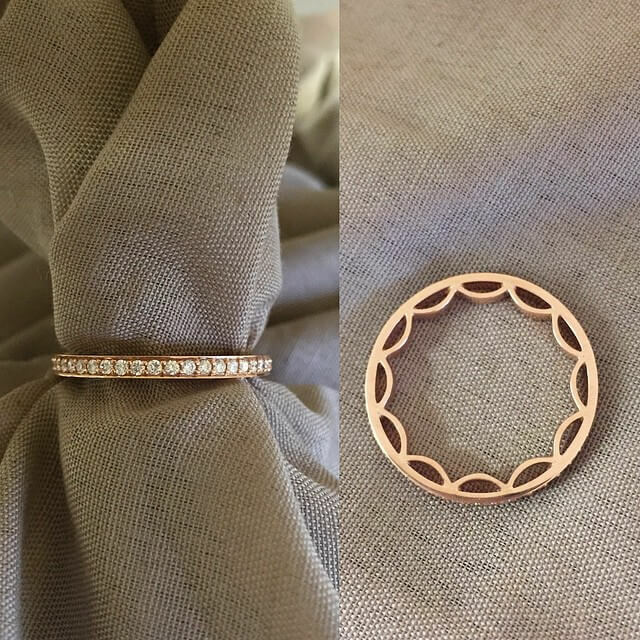 14kt Rose Gold, 2.00 cttw. 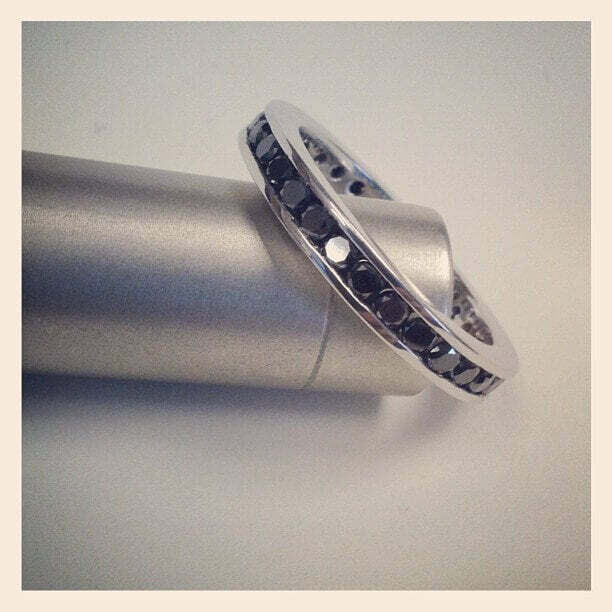 This ring is similar to style # BLDPER200S-14. 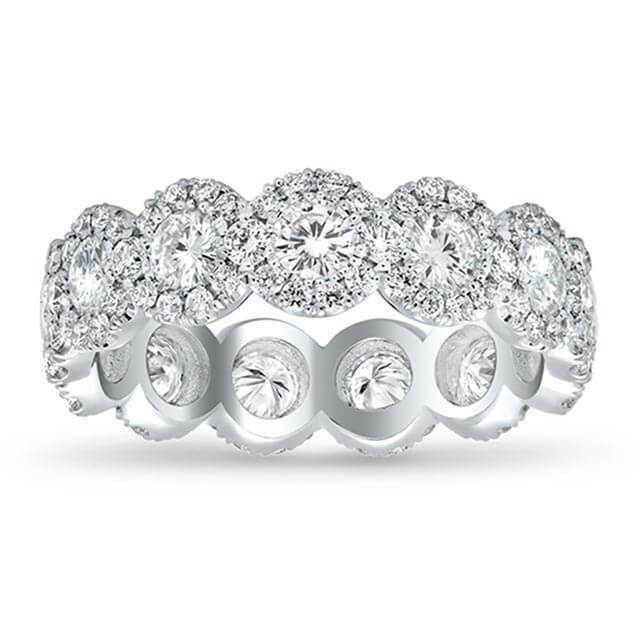 14kt White Gold, 2.52 cttw. 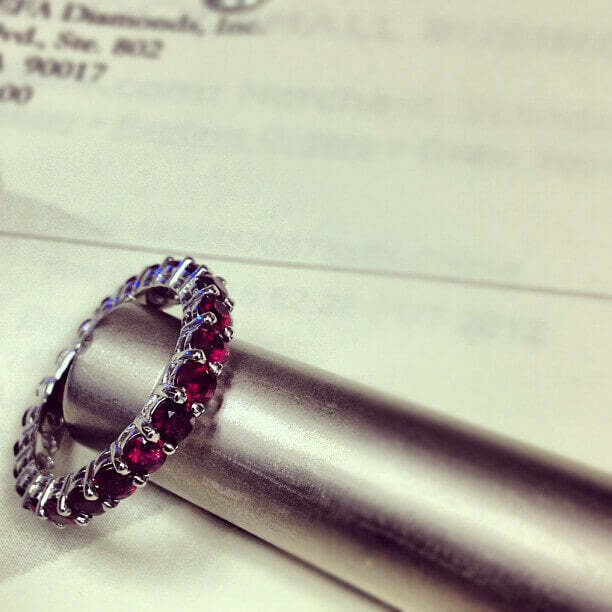 This ring is similar to style # RED-300S. 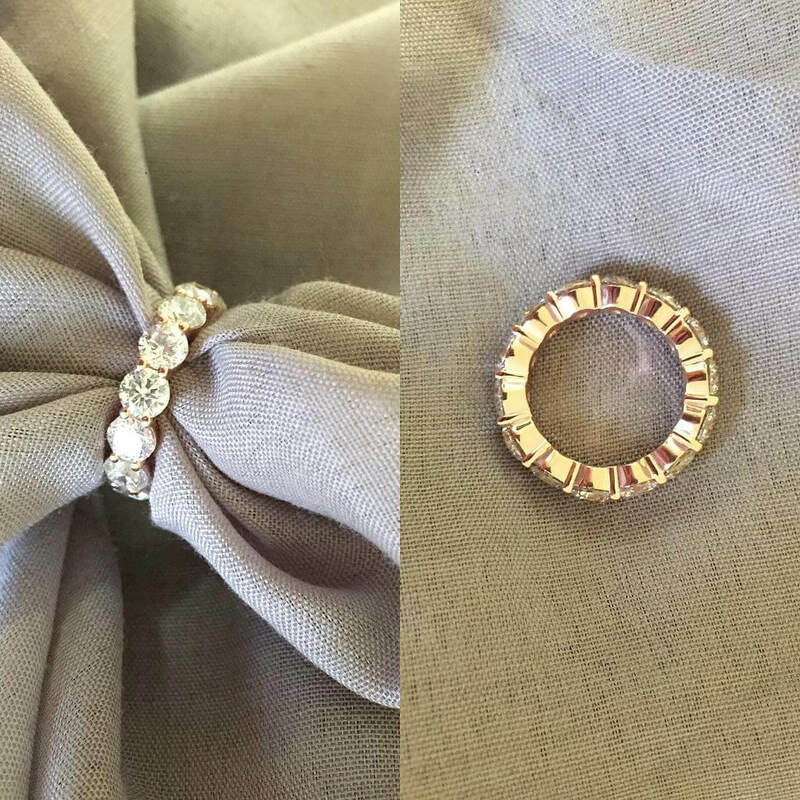 14kt White, Yellow, and Rose Gold, 3.00 cttw. 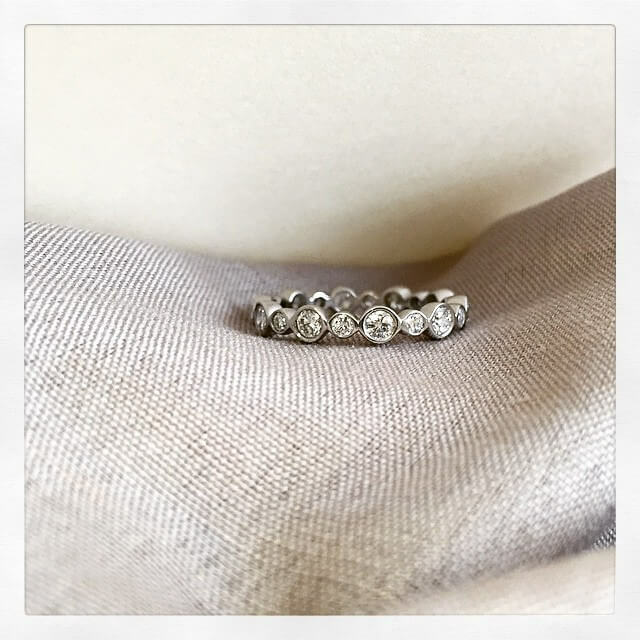 14kt White Gold, 2.00 cttw. 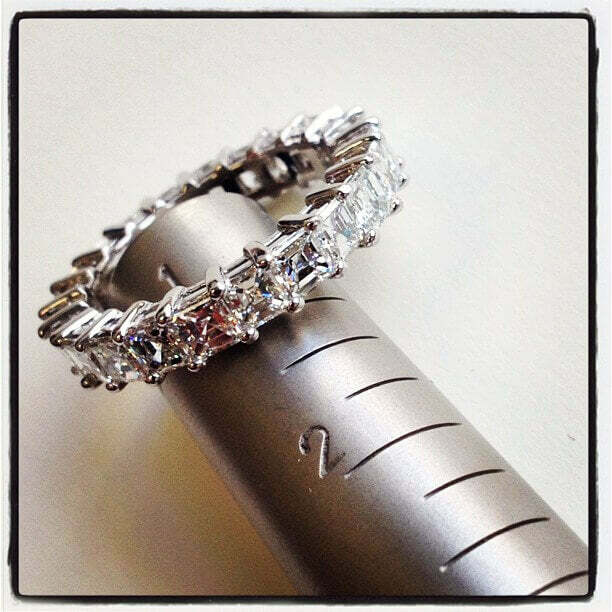 14kt White Gold, 1.25 cttw. 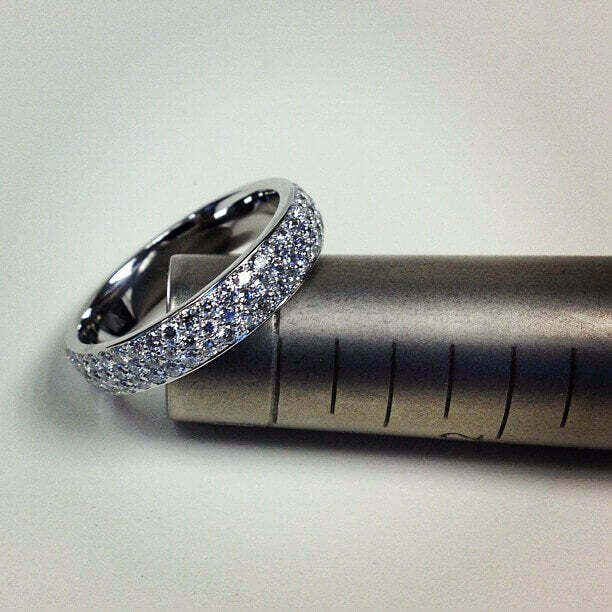 18kt White Gold, 4.00 cttw. 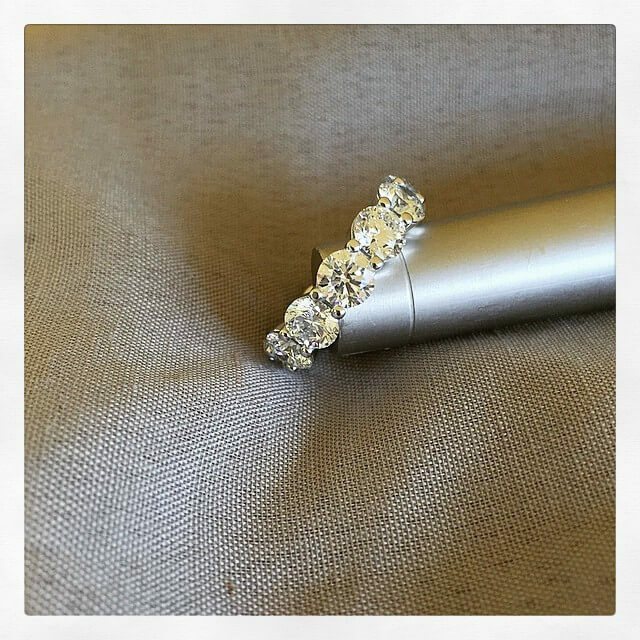 14kt White Gold, 2.25 cttw. 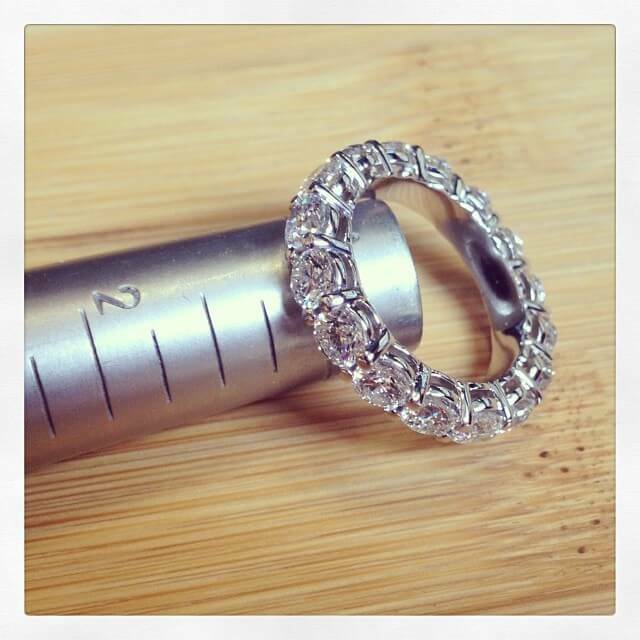 18kt White Gold, 1.25 cttw. 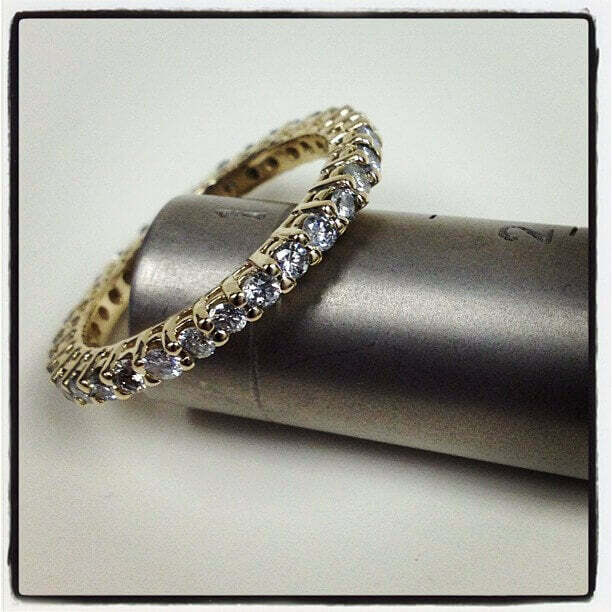 18kt Yellow Gold, 8.00 cttw. 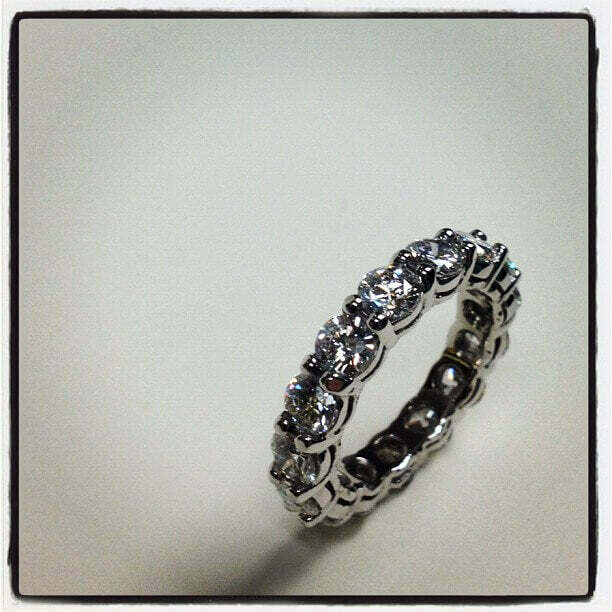 14kt White Gold, 7.00 cttw. 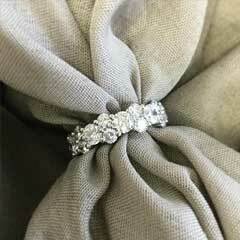 14kt White Gold, 4.00 cttw. 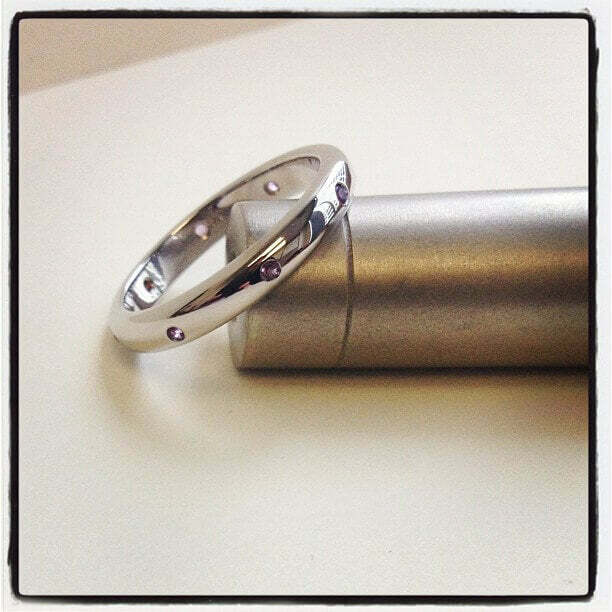 14kt White Gold, 1.00 cttw. 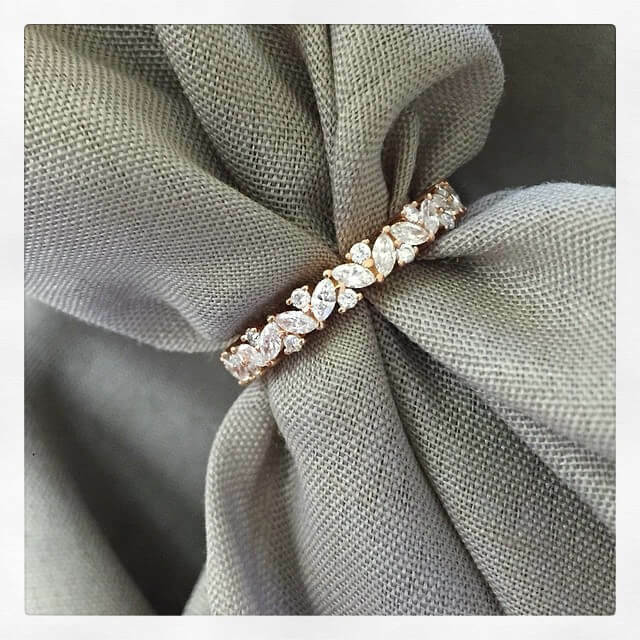 14kt Rose Gold, 0.08 cttw. 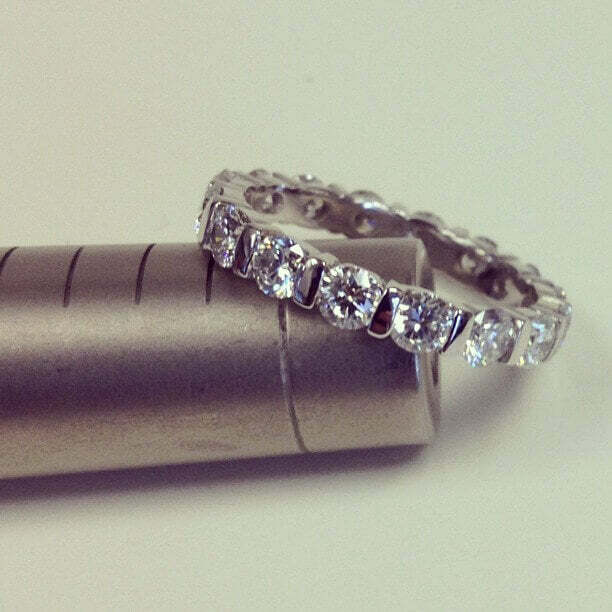 14kt White Gold, 5.00 cttw. 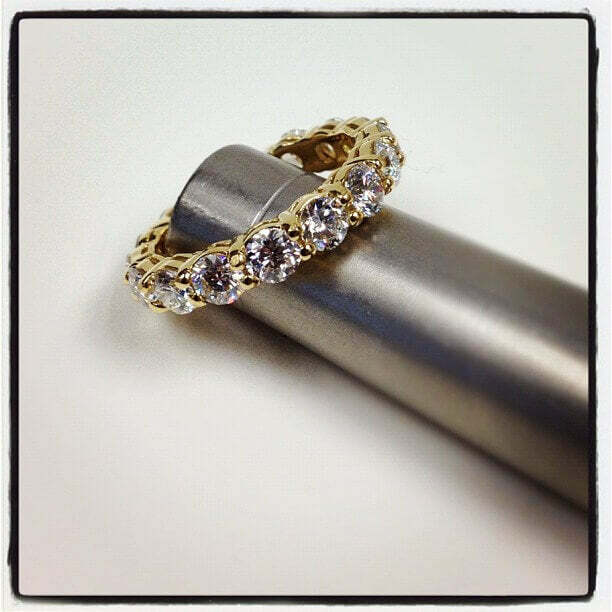 18kt Yellow Gold, 4.00 cttw. 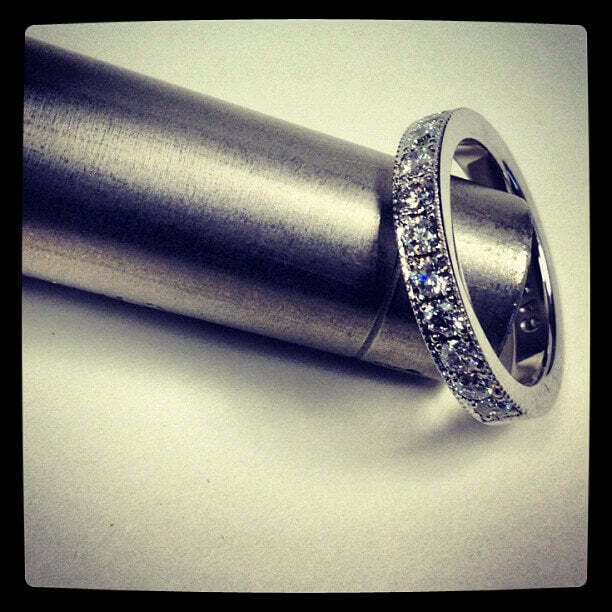 14kt White Gold, 0.12 cttw. 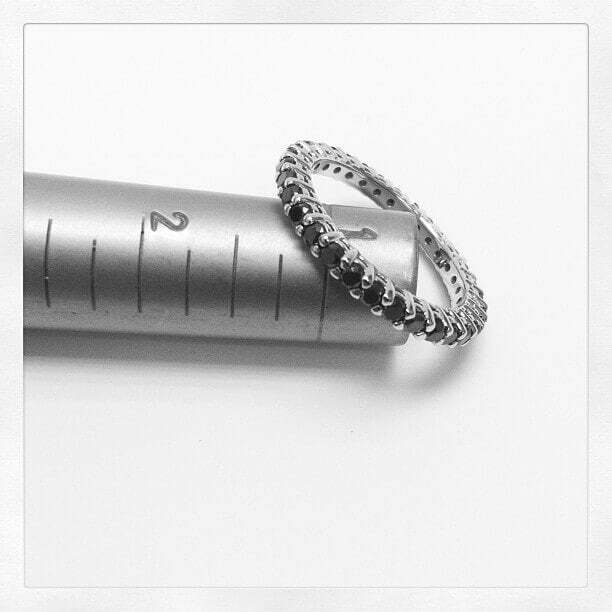 14kt White Gold, 0.24 cttw. 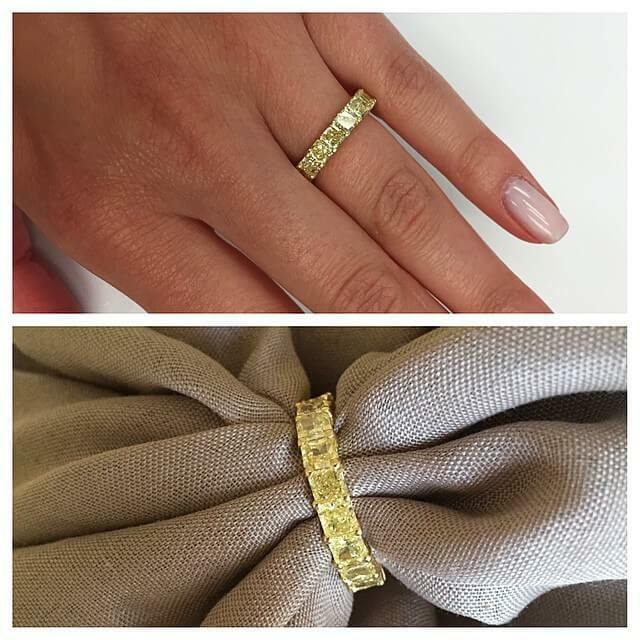 18kt Yellow Gold, 2.00 cttw. 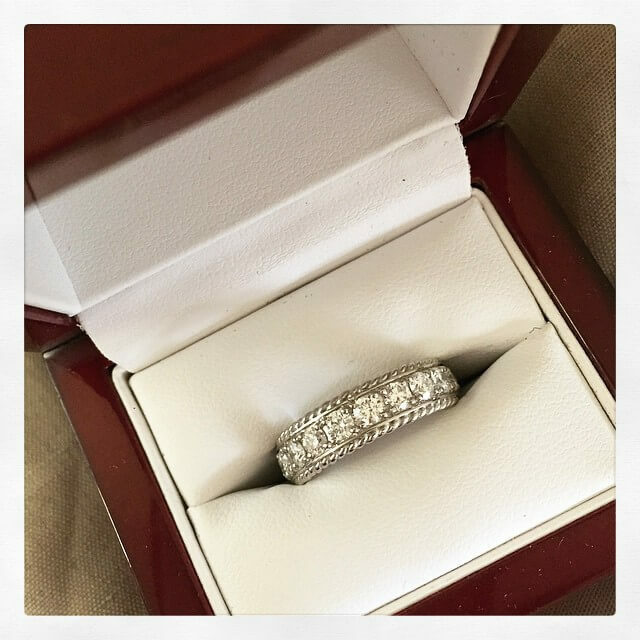 14kt Rose Gold, G-H Color / SI Quality Diamonds, 2.00 cttw. 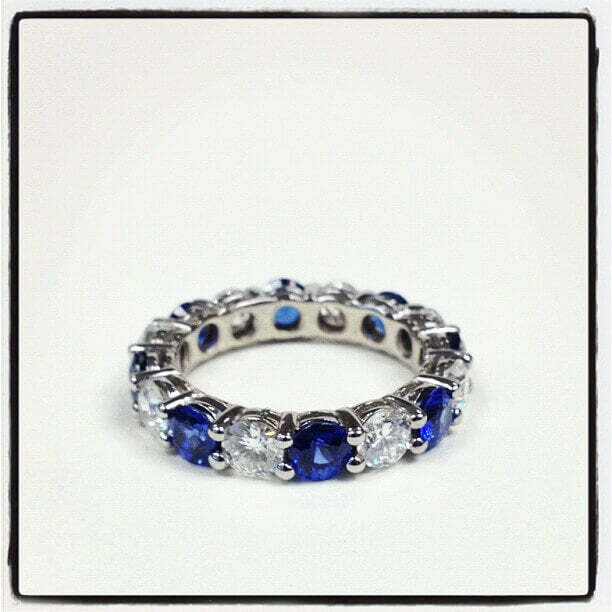 14kt White Gold, G-H Color / SI Quality Diamonds, 2.00 cttw. 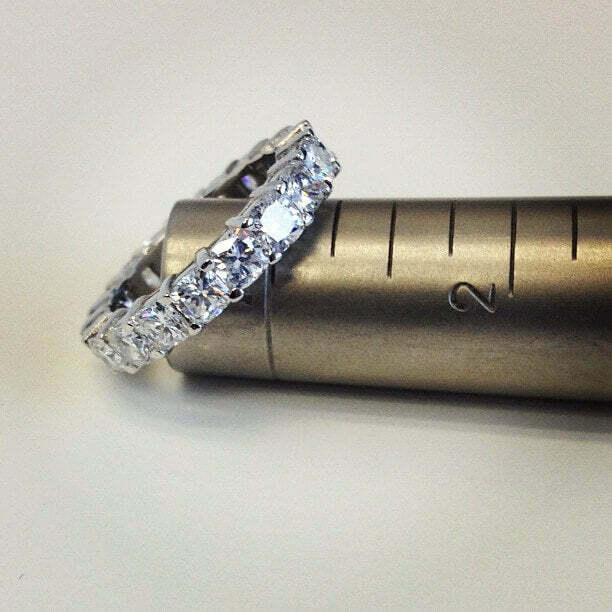 Platinum 950, F-G Color / VS Clarity Diamonds, 4.00 cttw. 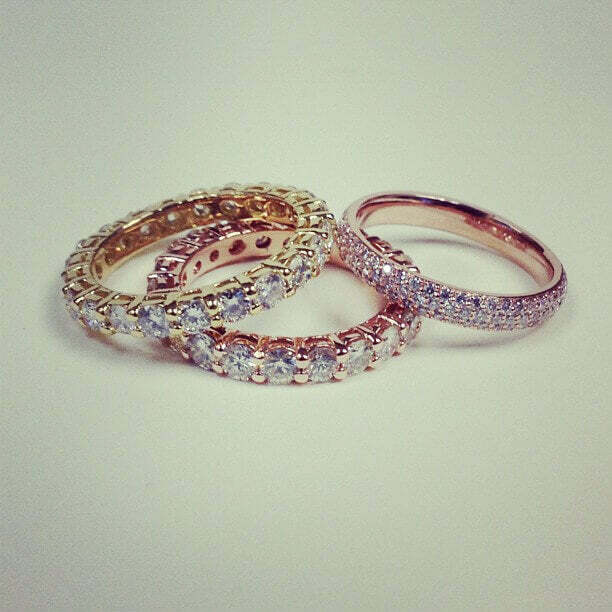 14kt Rose Gold and 18kt Yellow Gold, 5.00 cttw. 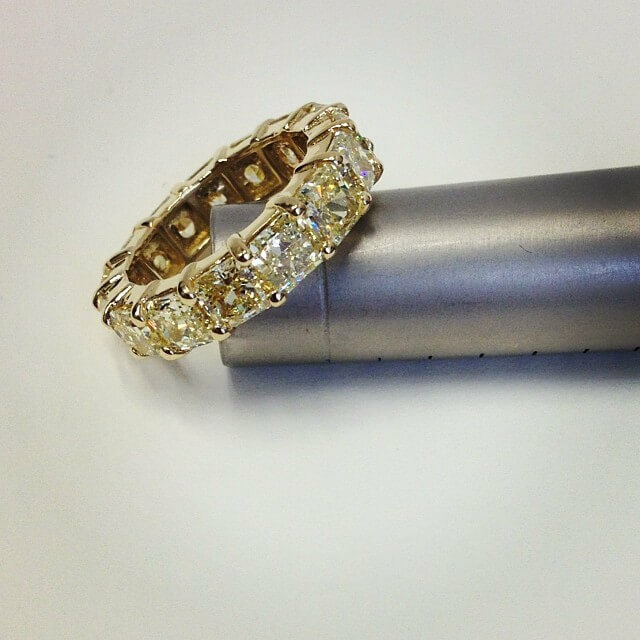 18kt Yellow Gold, F-G Color / VS Clarity Diamonds, 4.00 cttw. 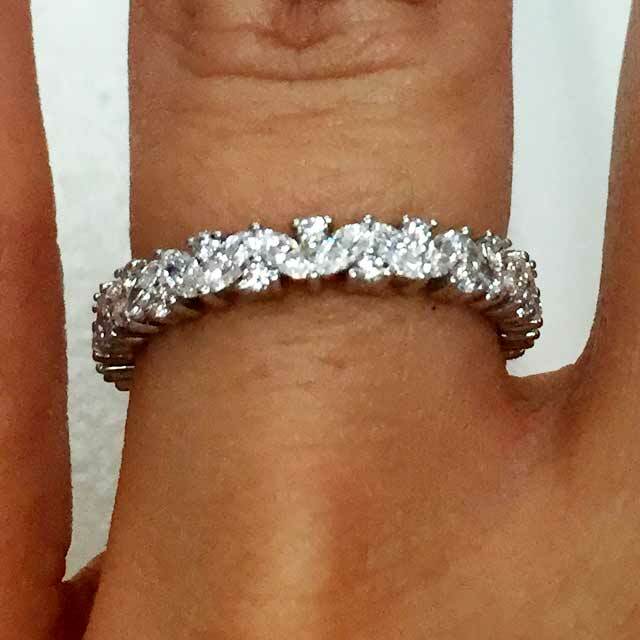 18kt White Gold, G-H Color / SI Clarity Diamonds, 2.00 cttw. 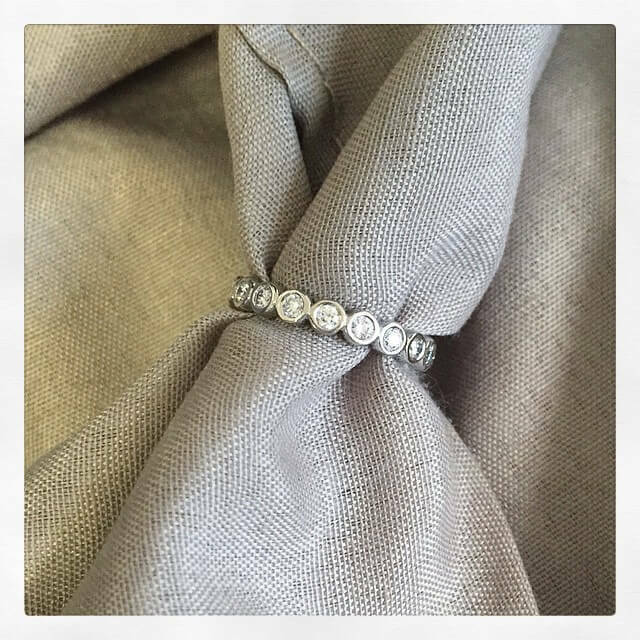 14kt White Gold, 0.40 cttw. 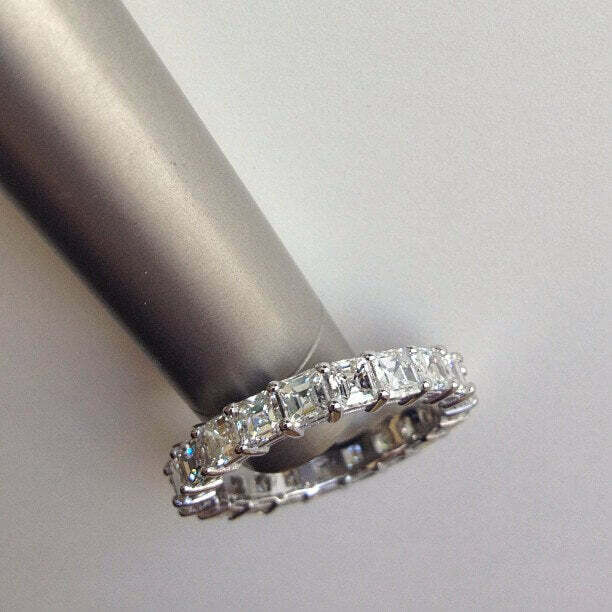 14kt White Gold, G-H Color, SI Clarity Diamonds, 5.00 cttw. 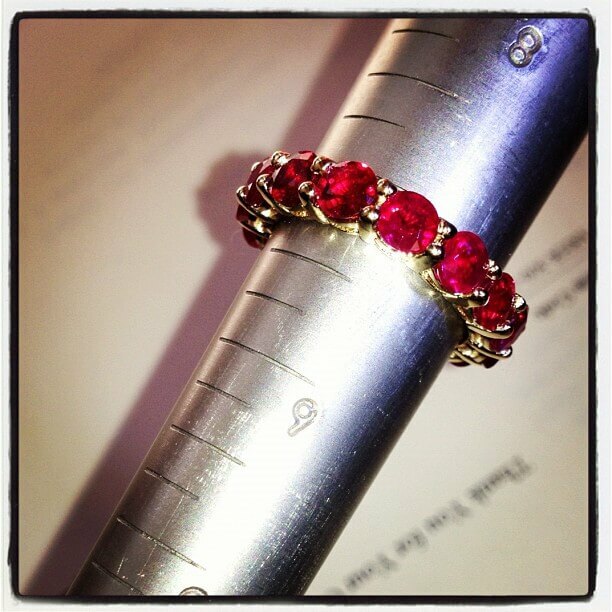 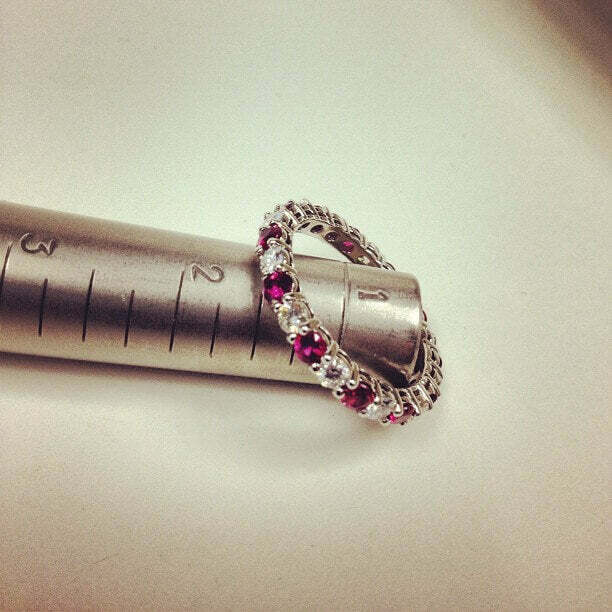 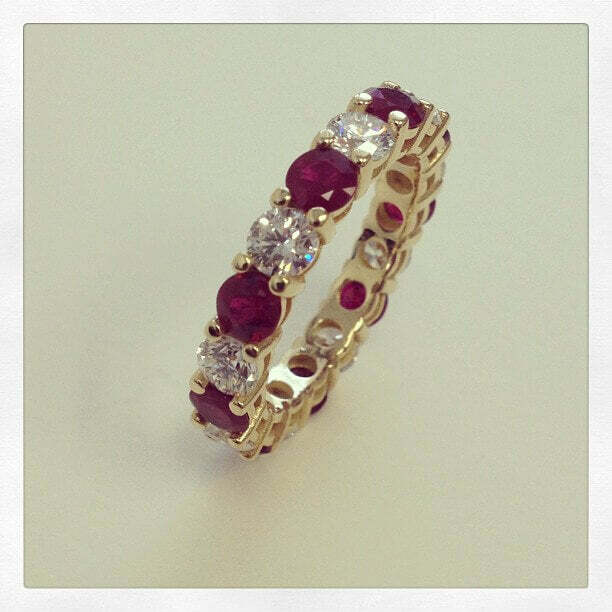 14kt Yellow Gold, AAA Diamond Cut Rubies, 5.00 cttw. 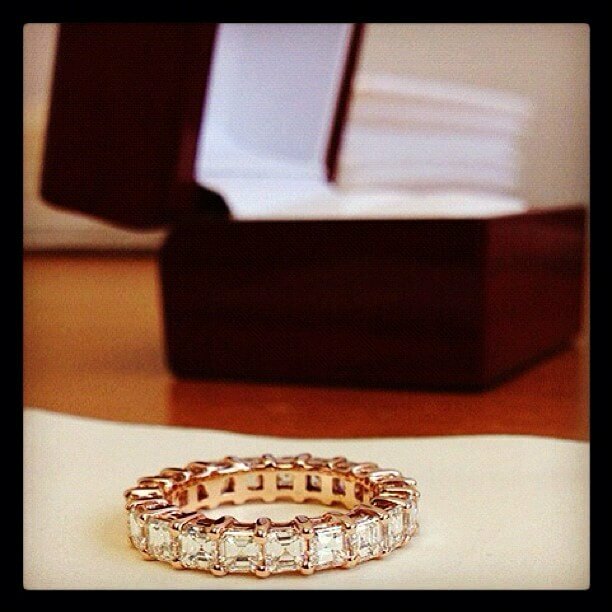 14kt Rose Gold, F-G Color and VS Clarity Diamonds, 4.00 cttw. 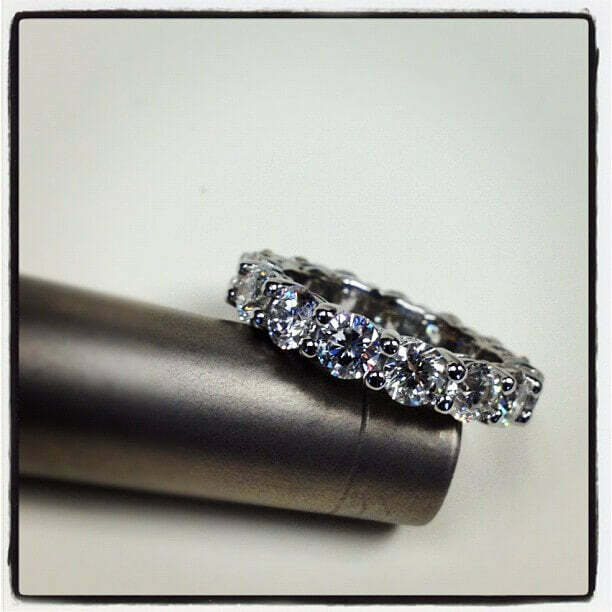 Platinum 950, G-H Color and SI Clarity Diamonds, 5.00 cttw. 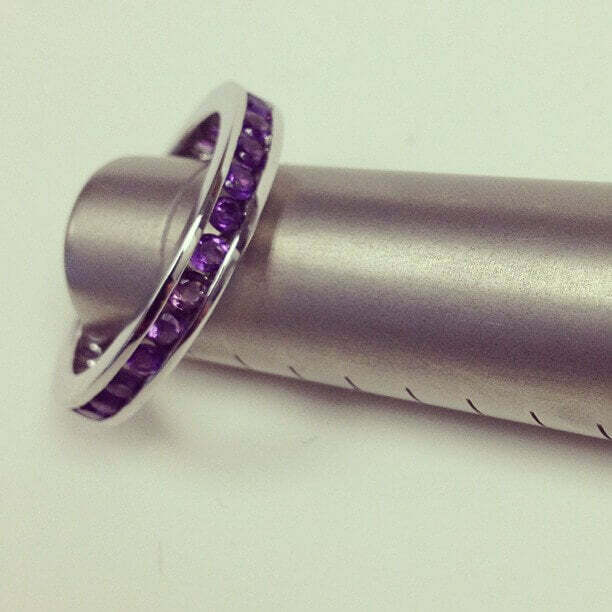 Enjoy these pictures? 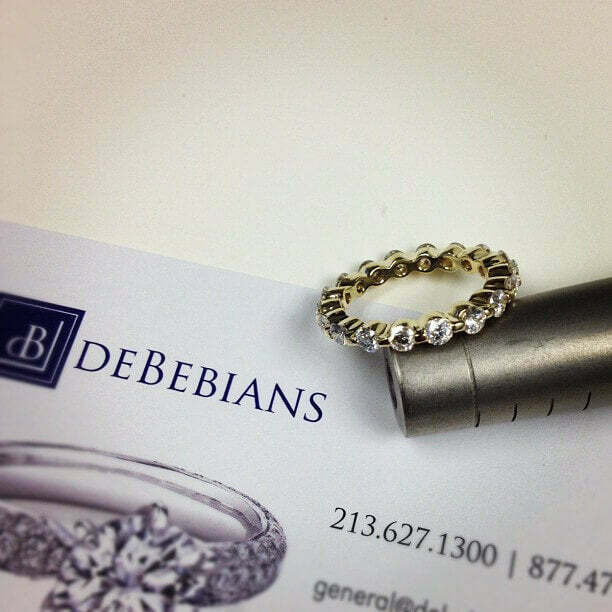 Follow us on Instagram @debebians for regular updates!